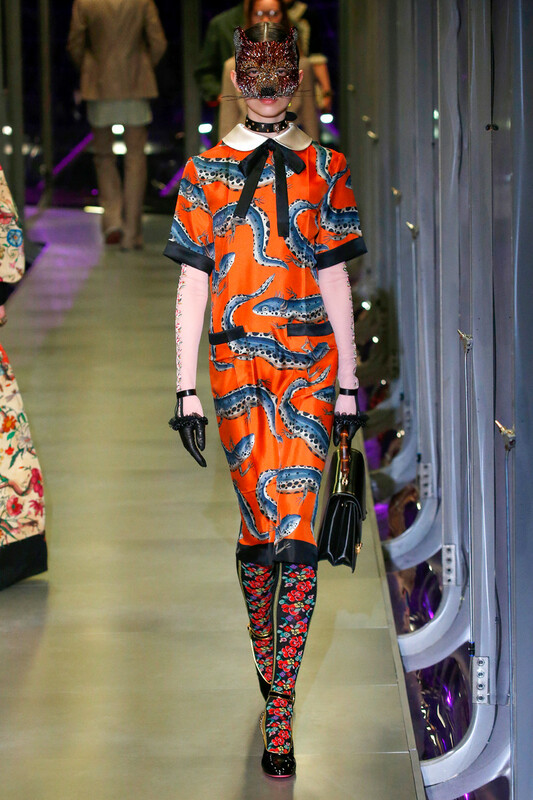 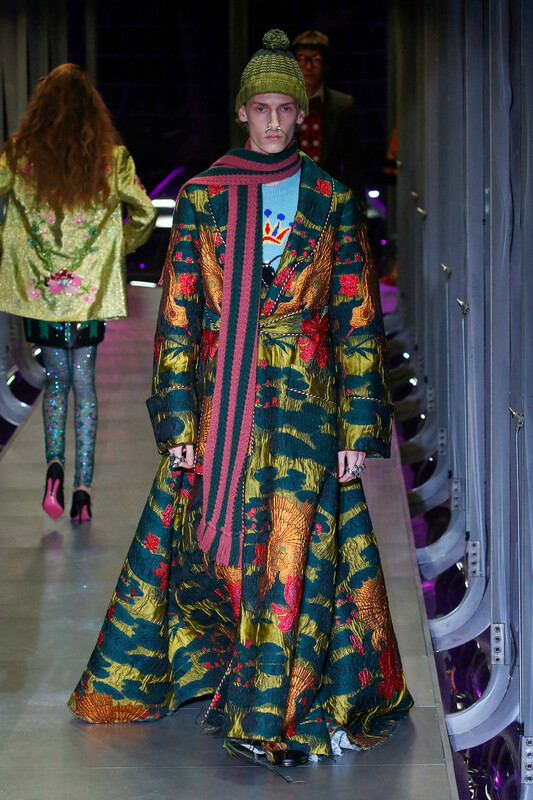 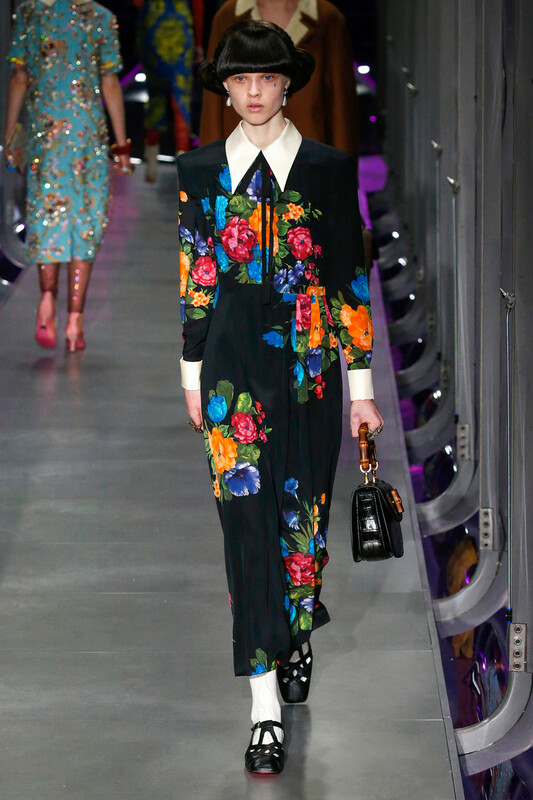 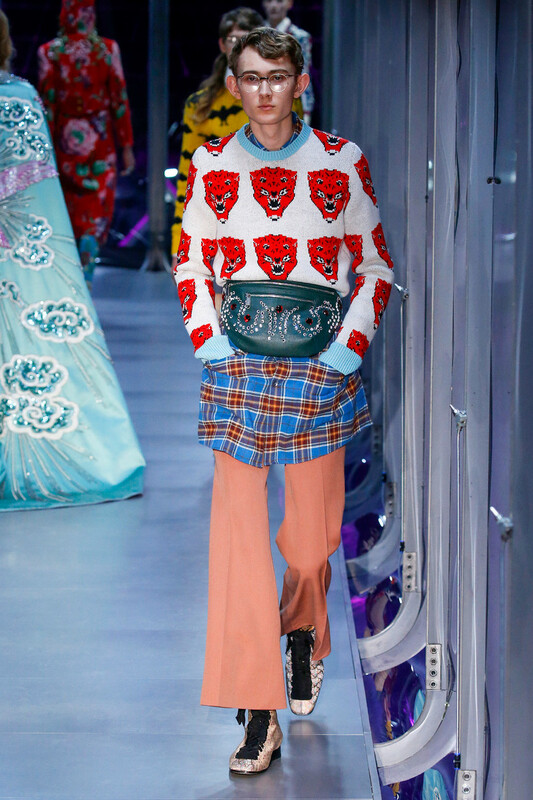 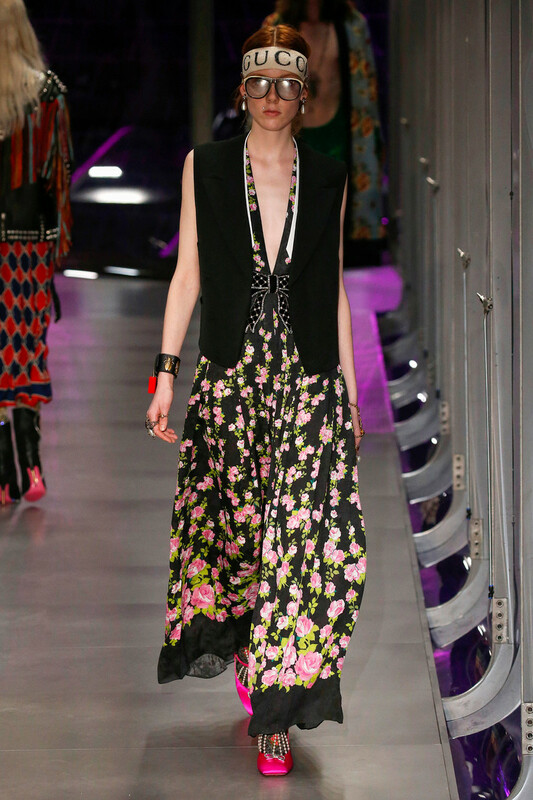 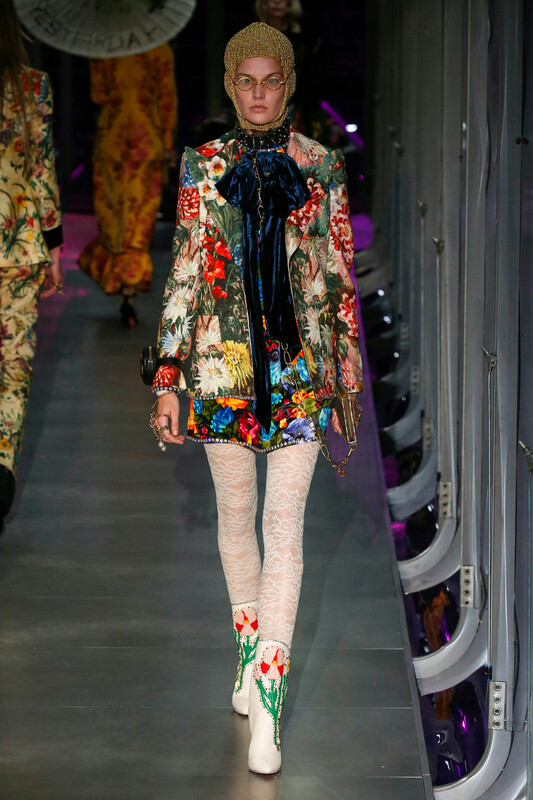 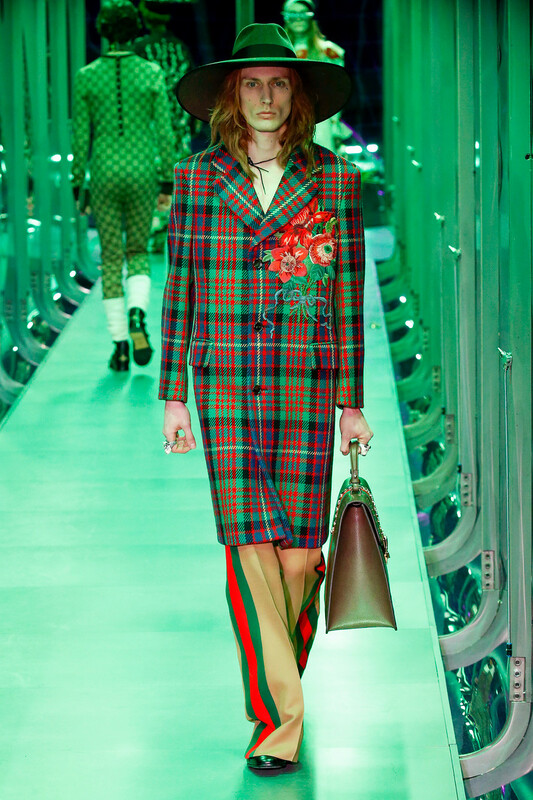 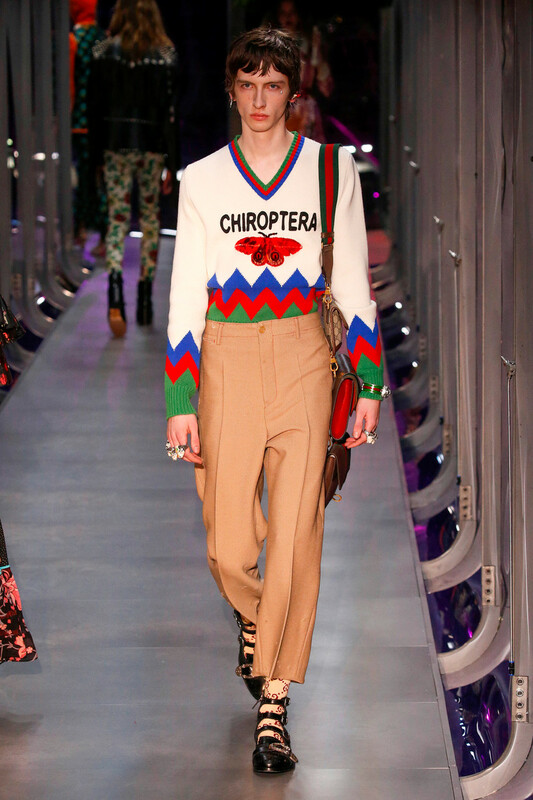 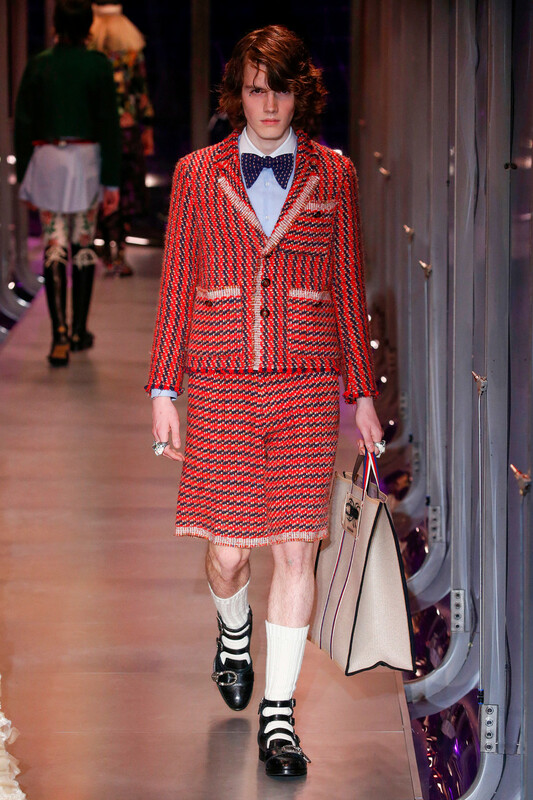 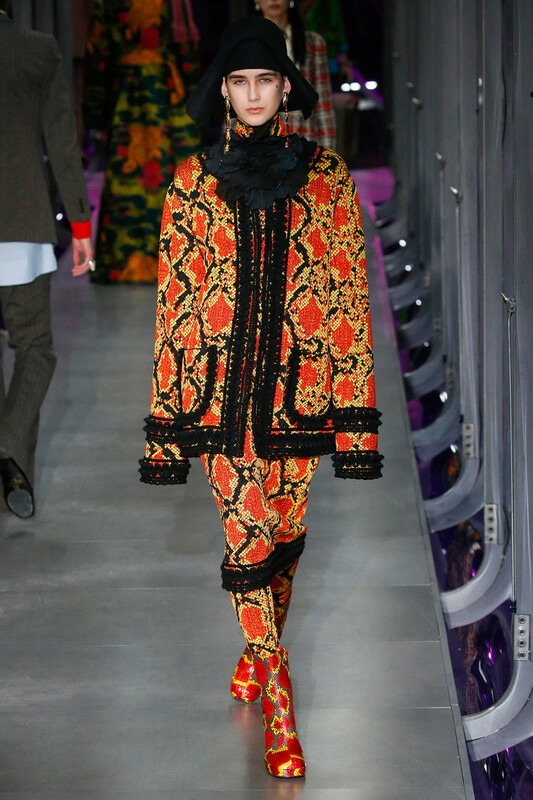 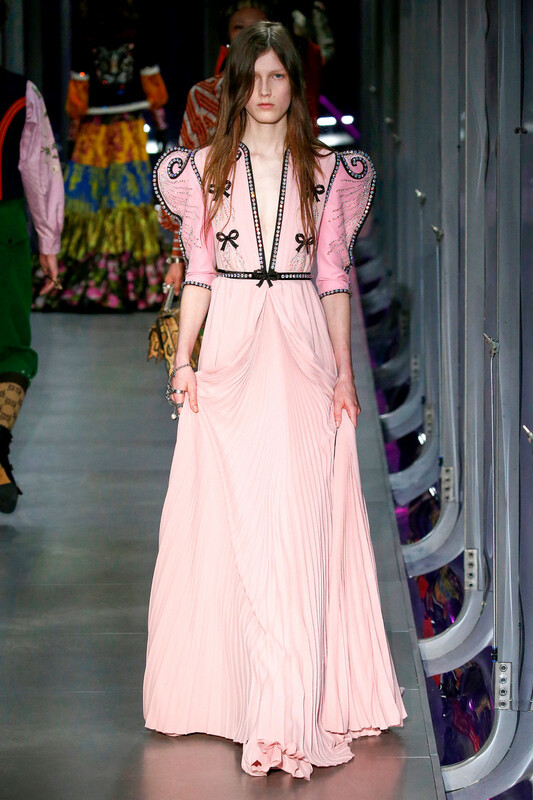 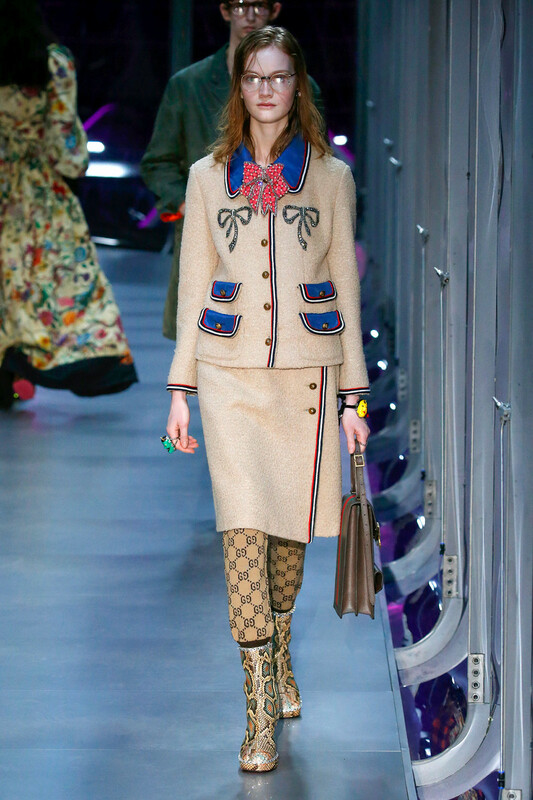 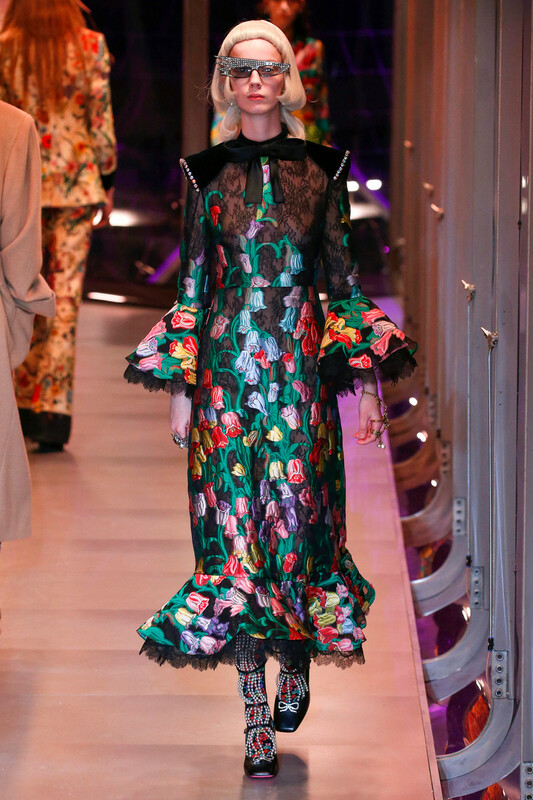 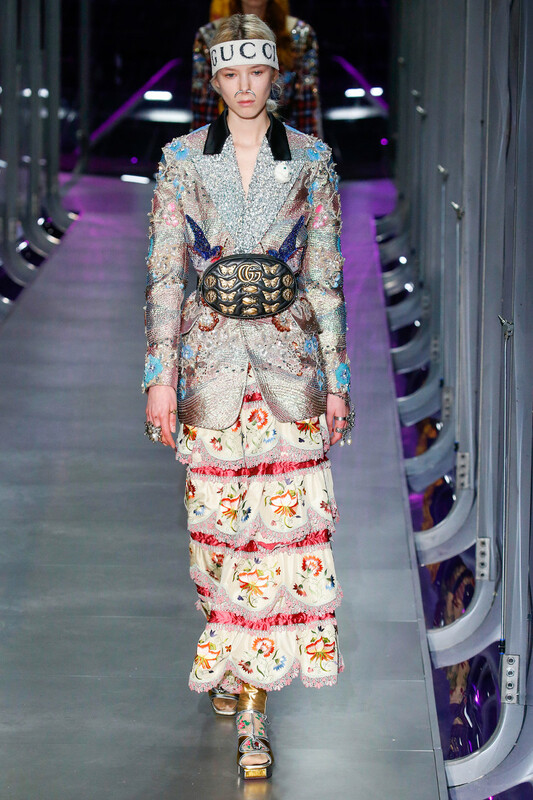 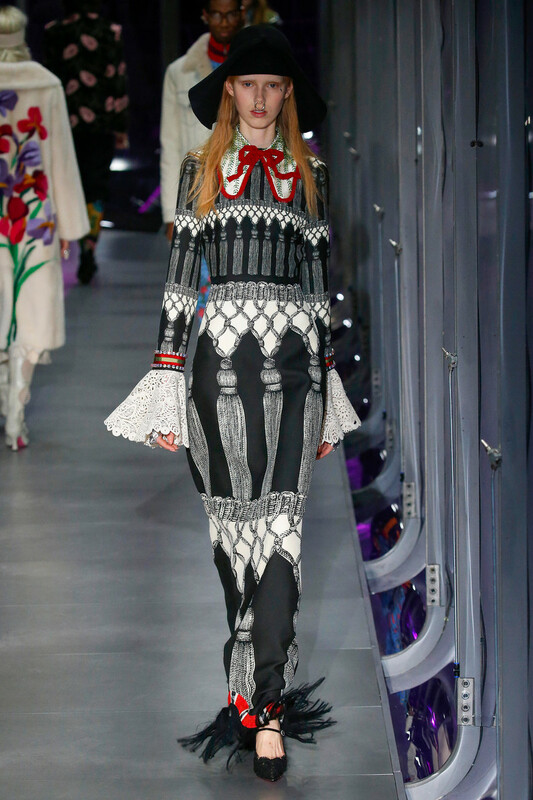 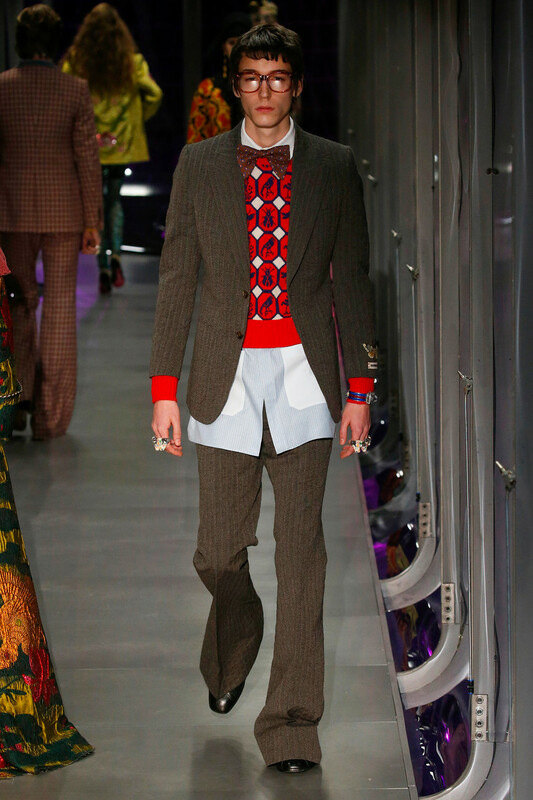 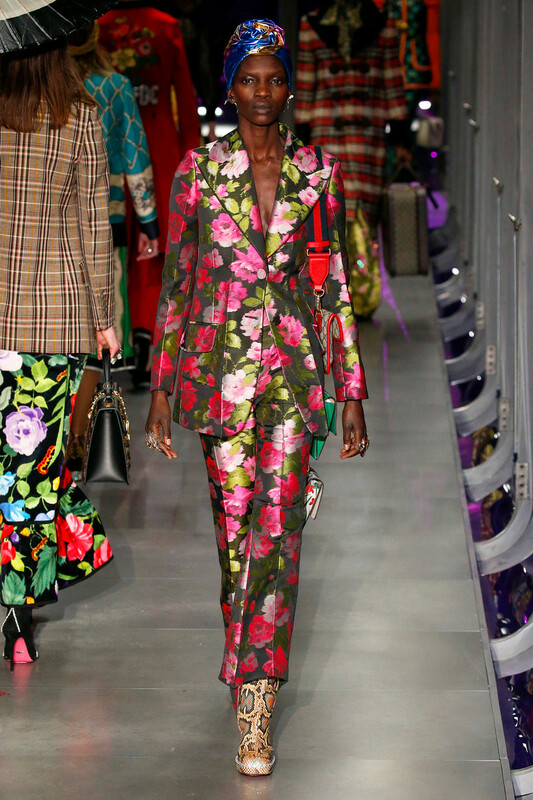 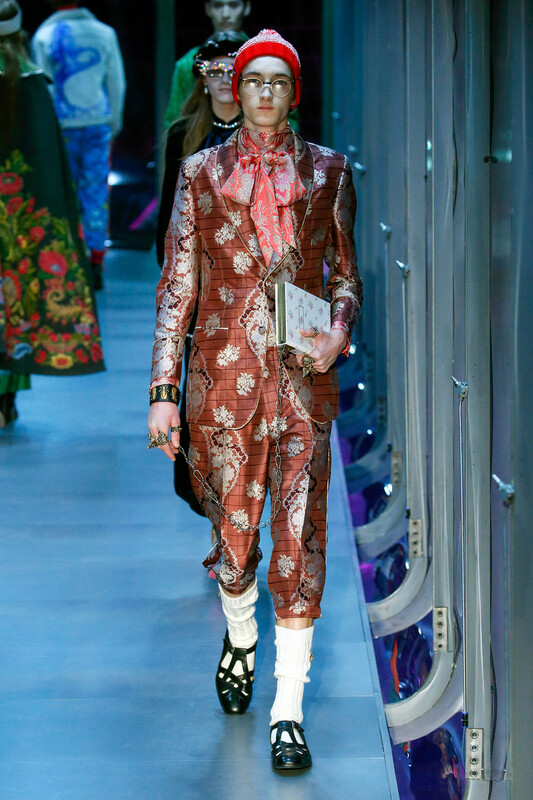 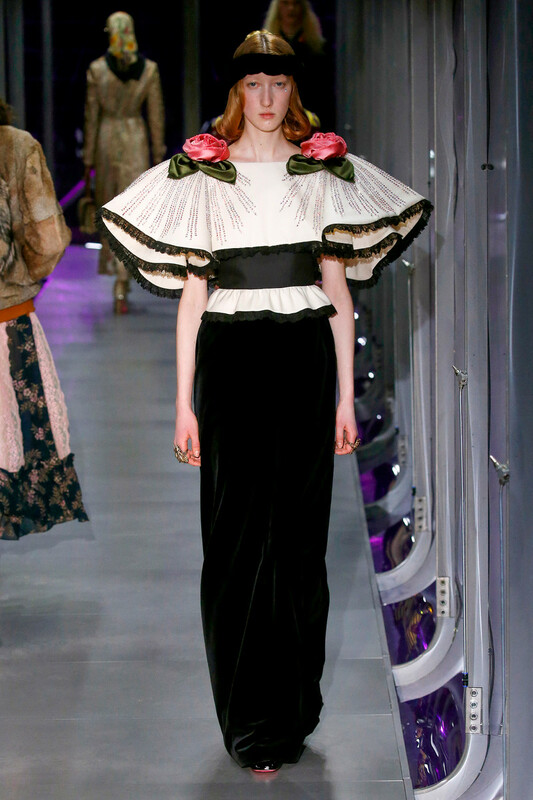 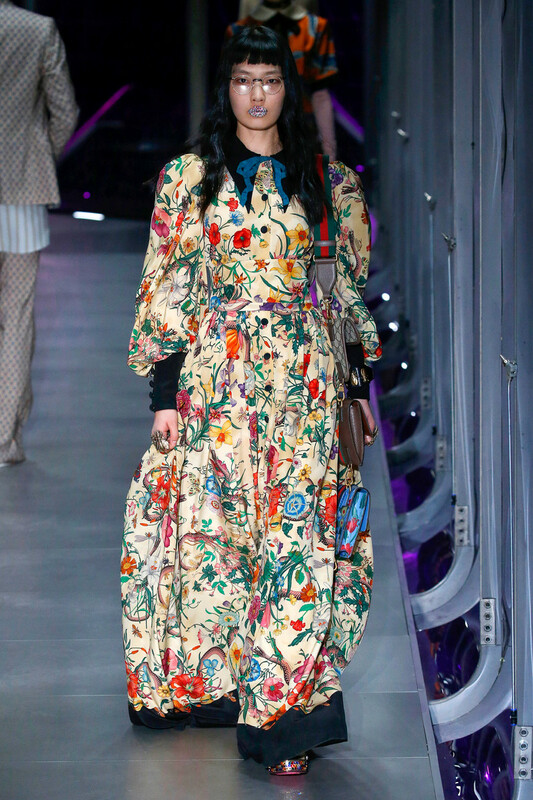 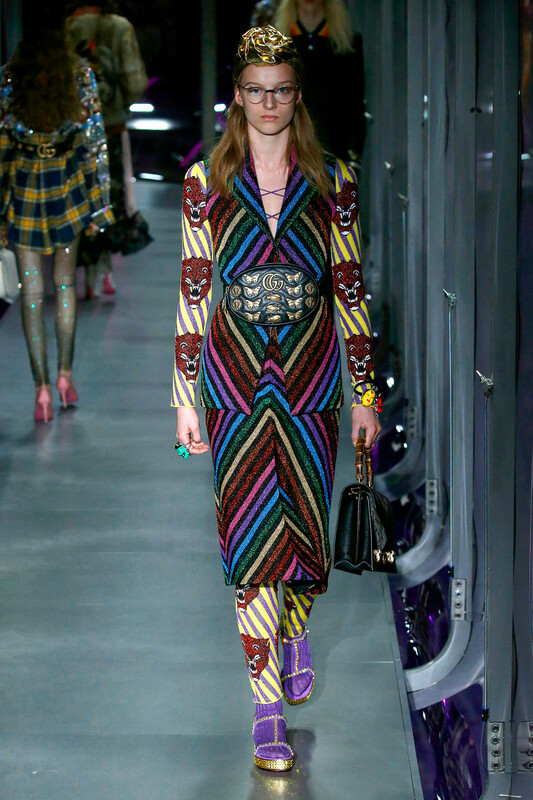 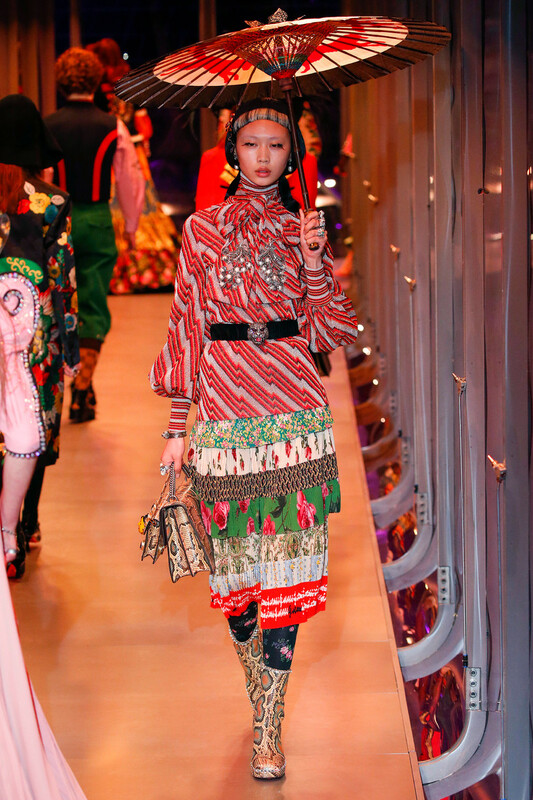 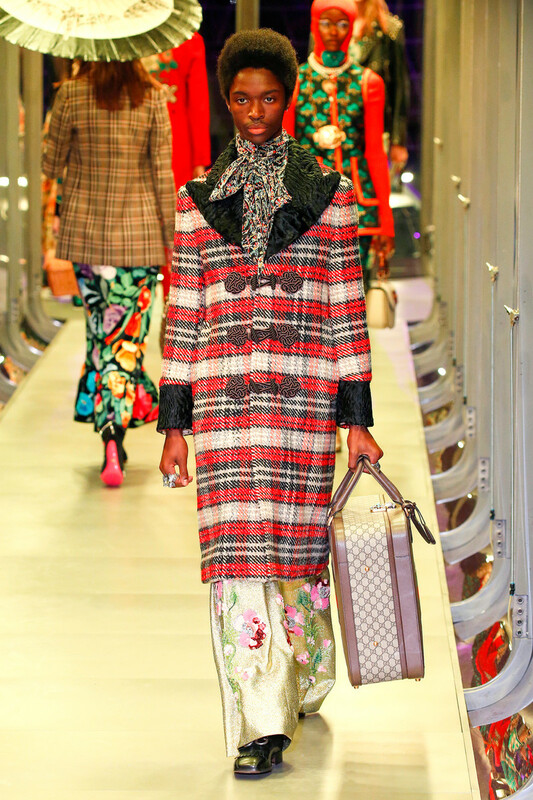 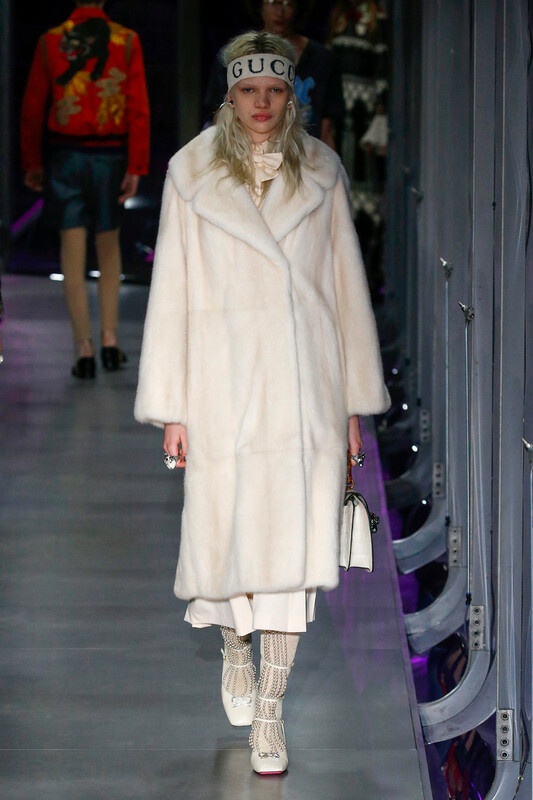 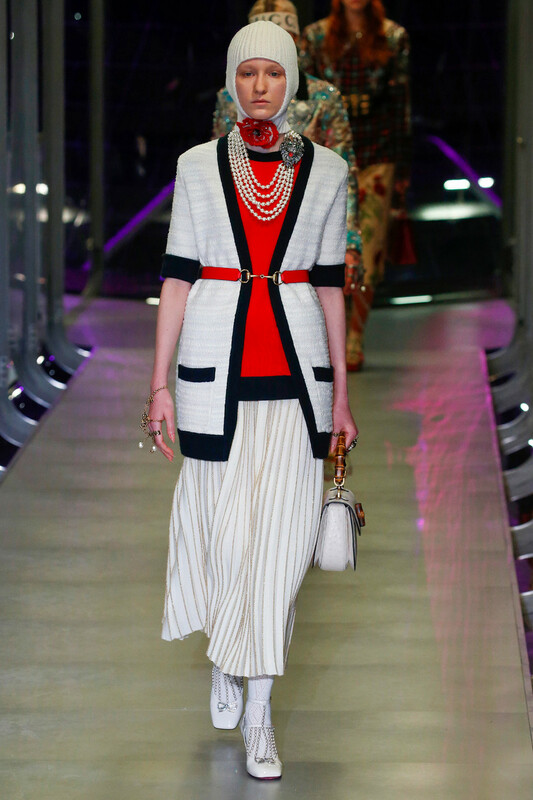 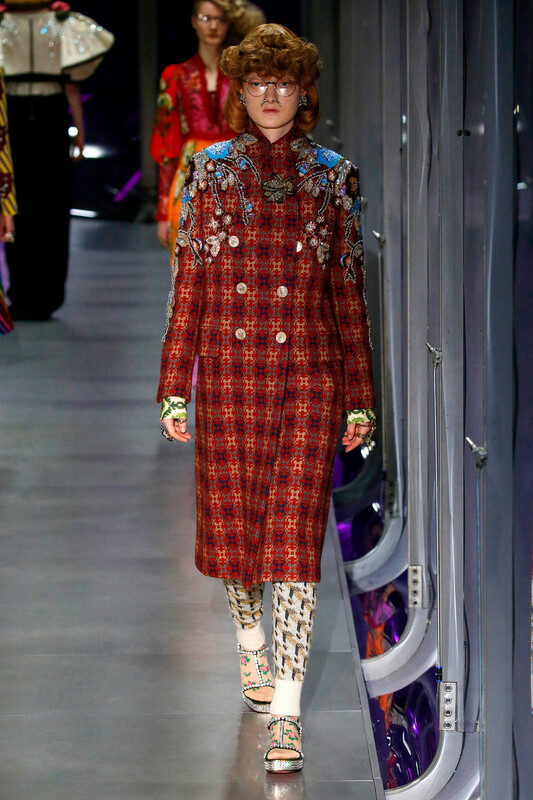 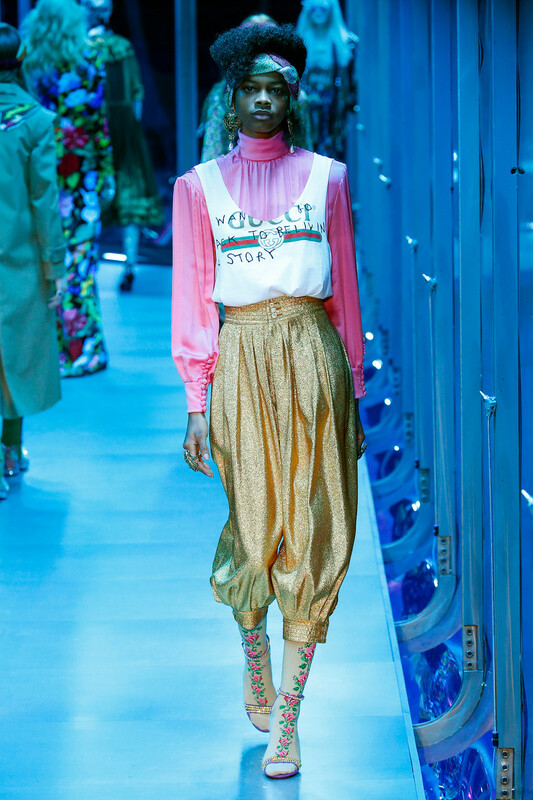 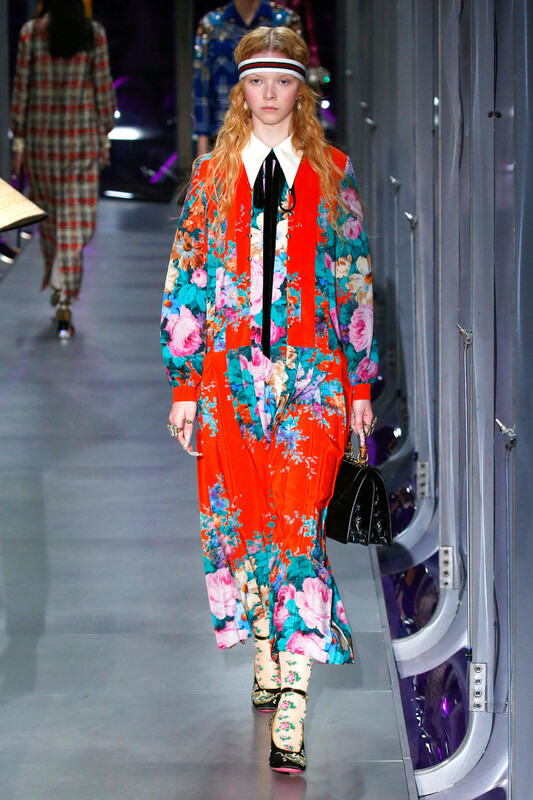 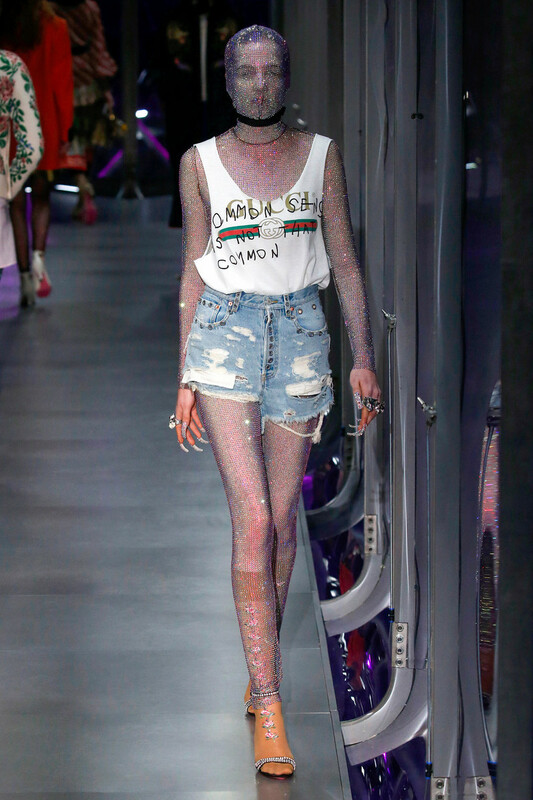 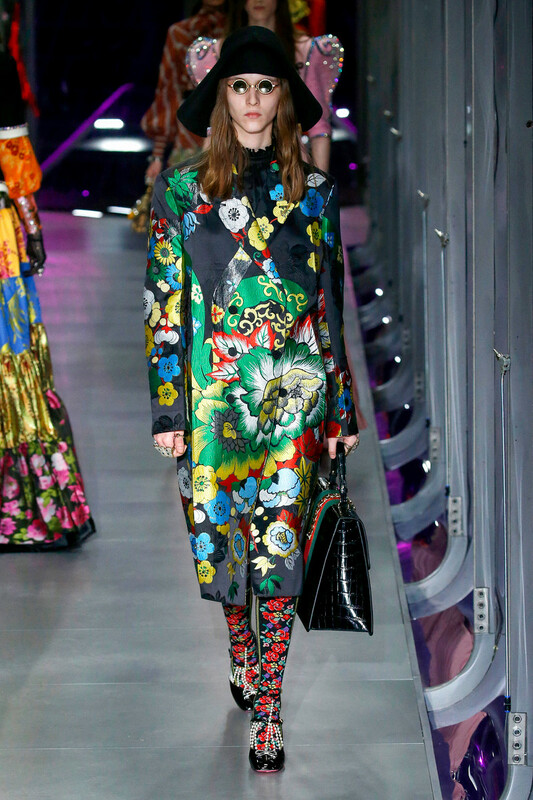 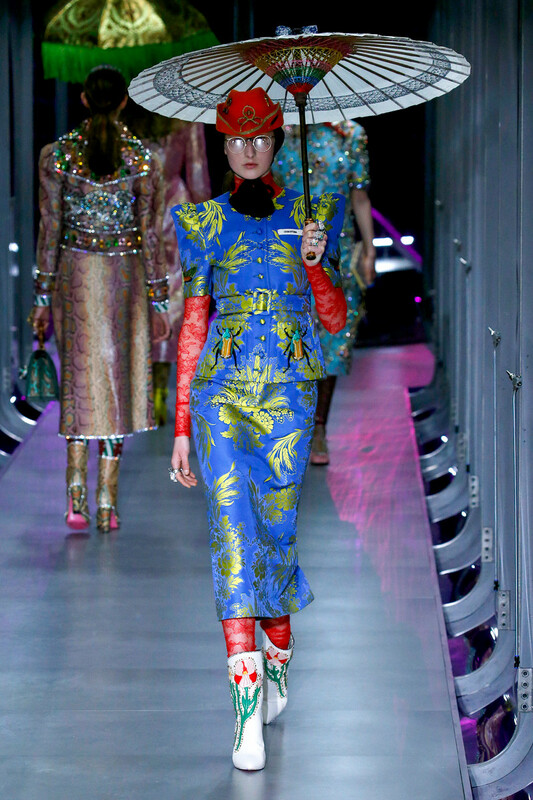 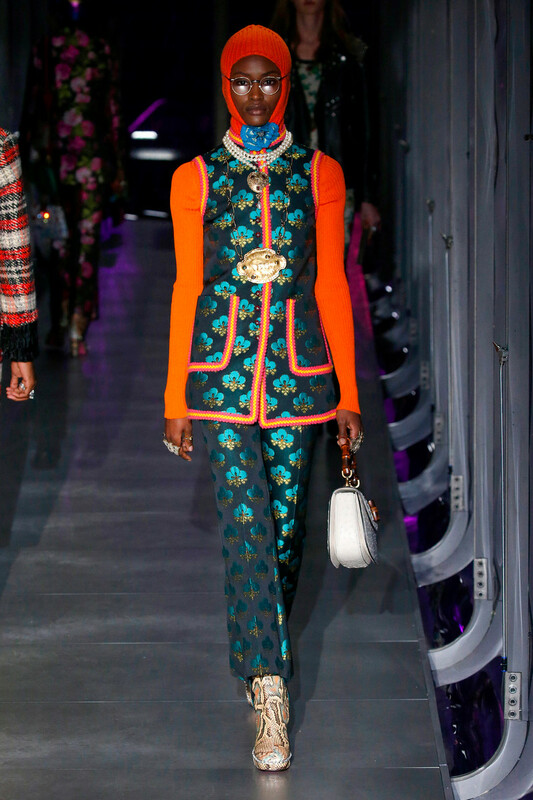 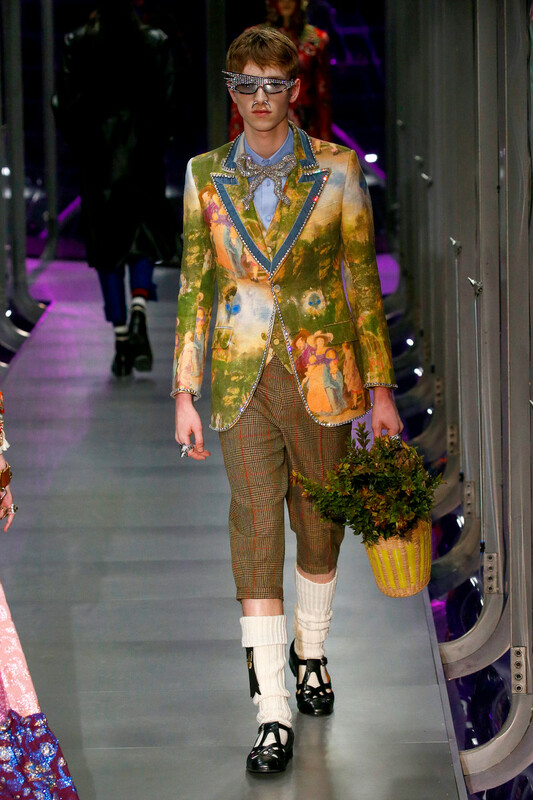 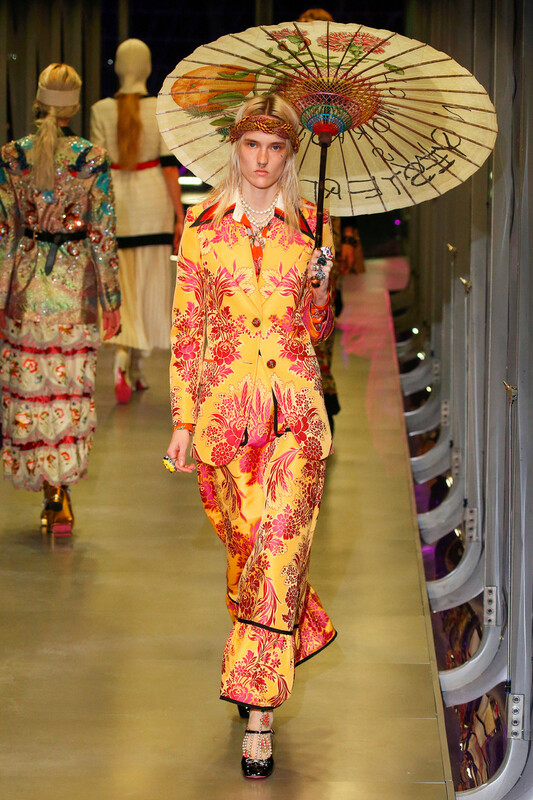 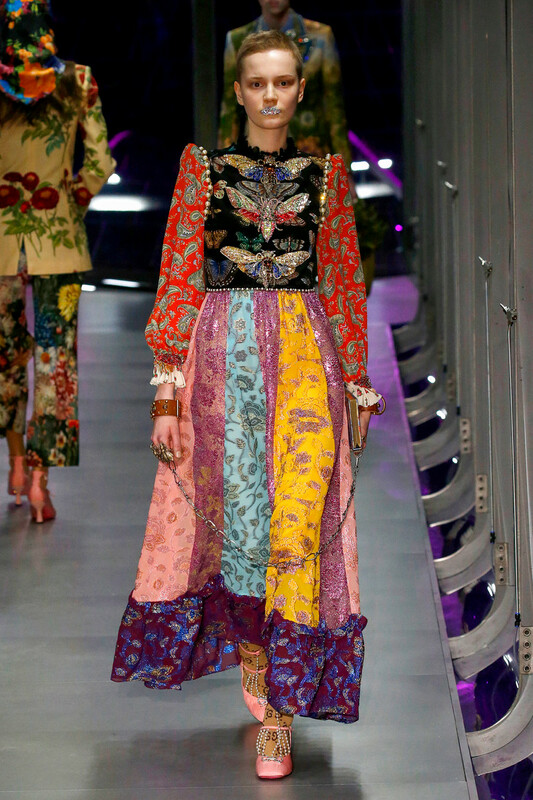 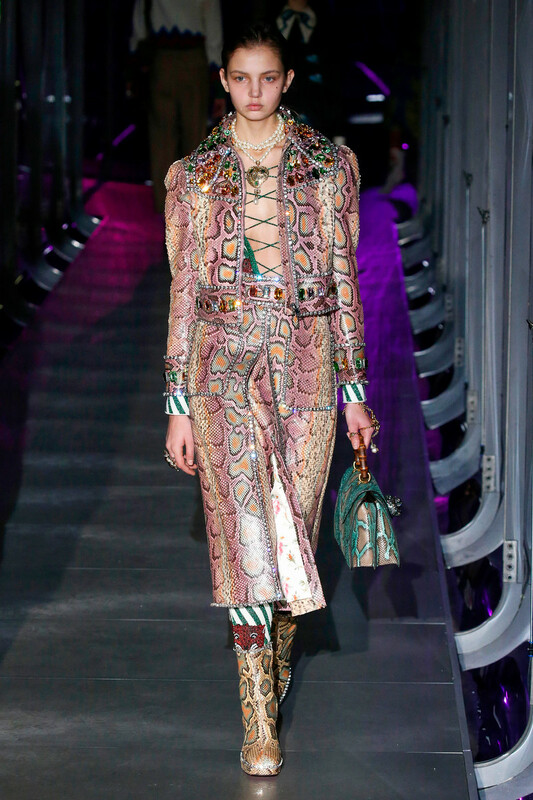 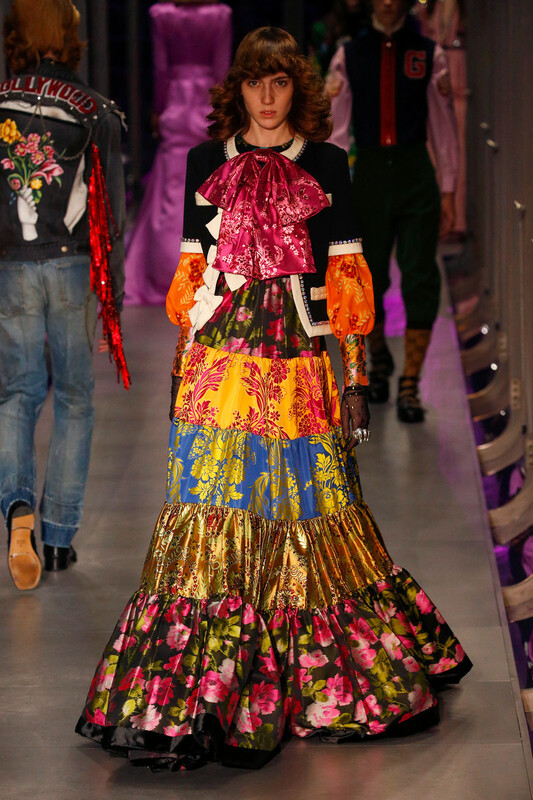 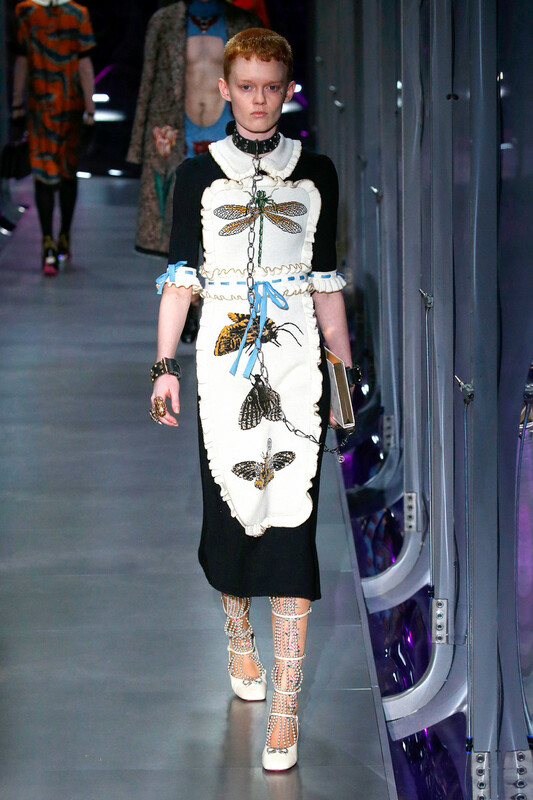 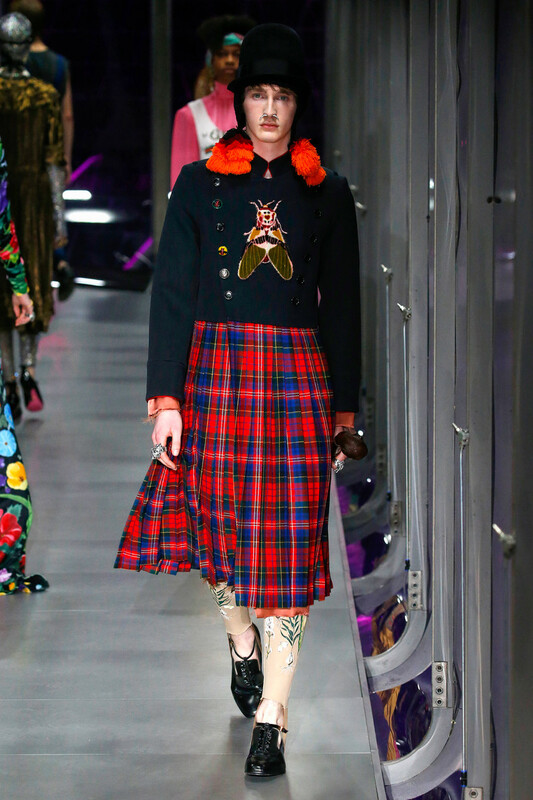 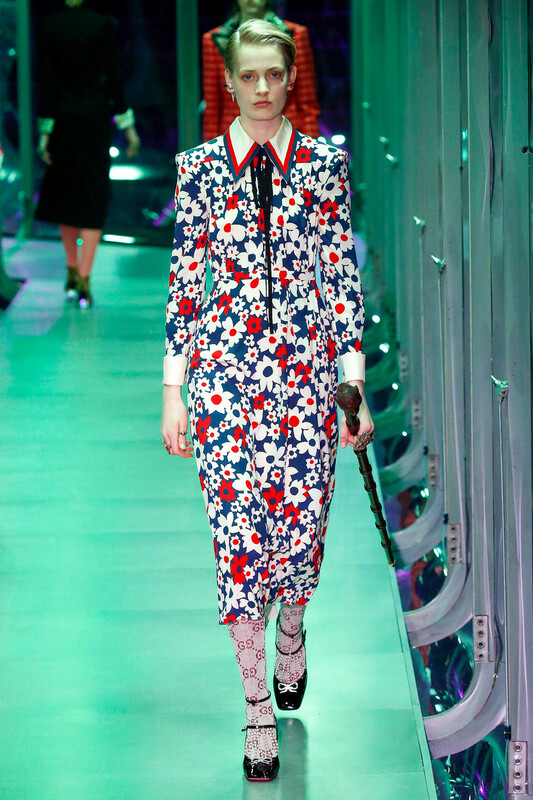 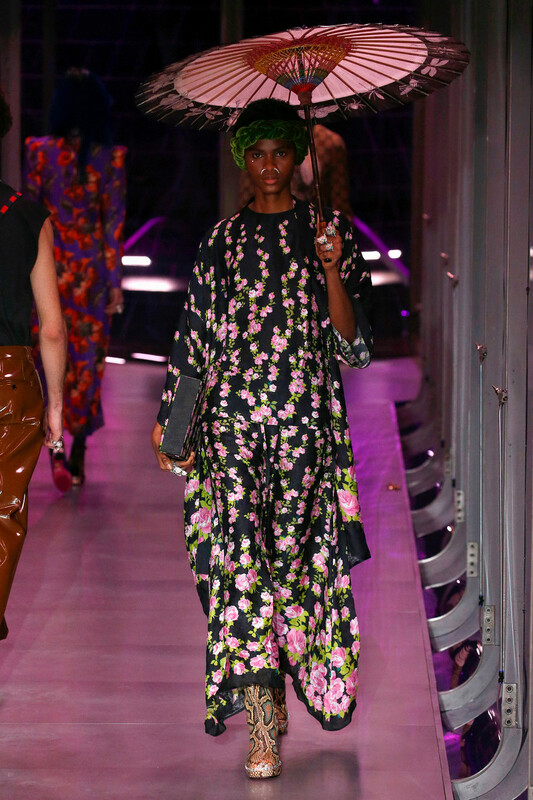 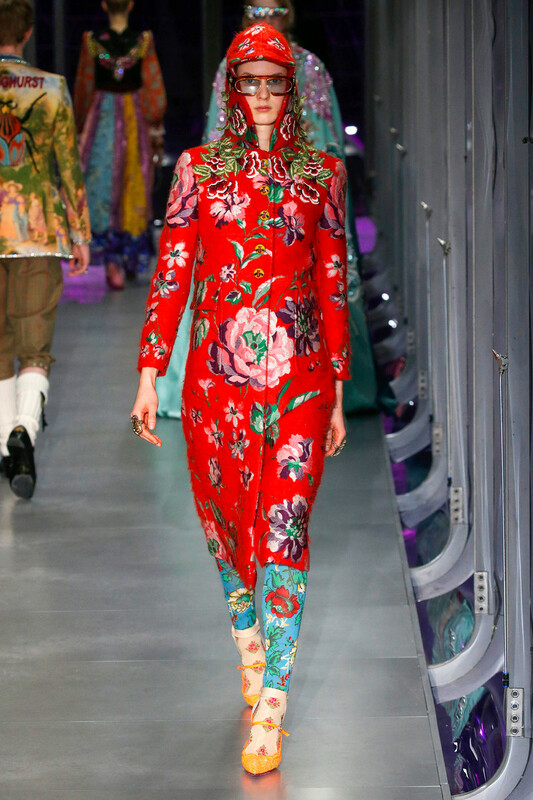 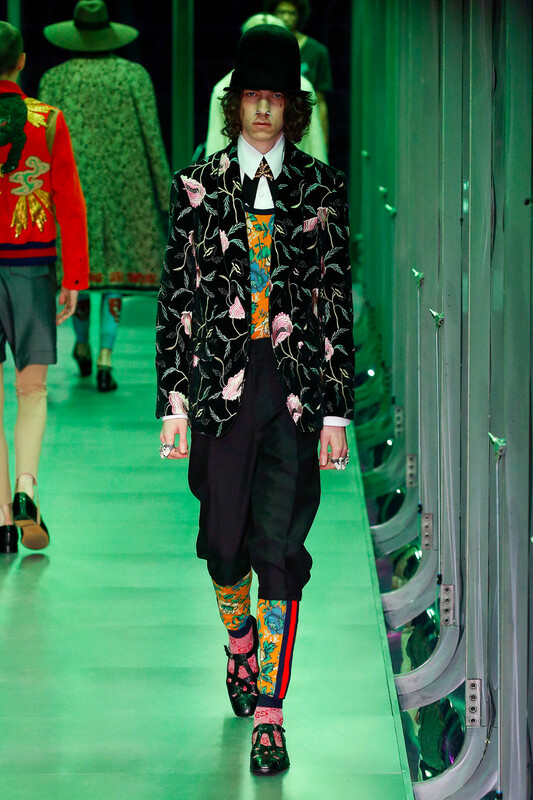 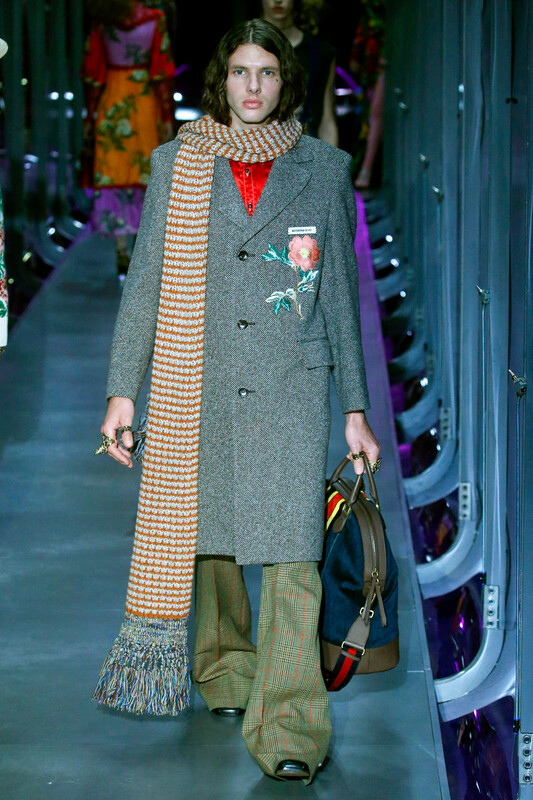 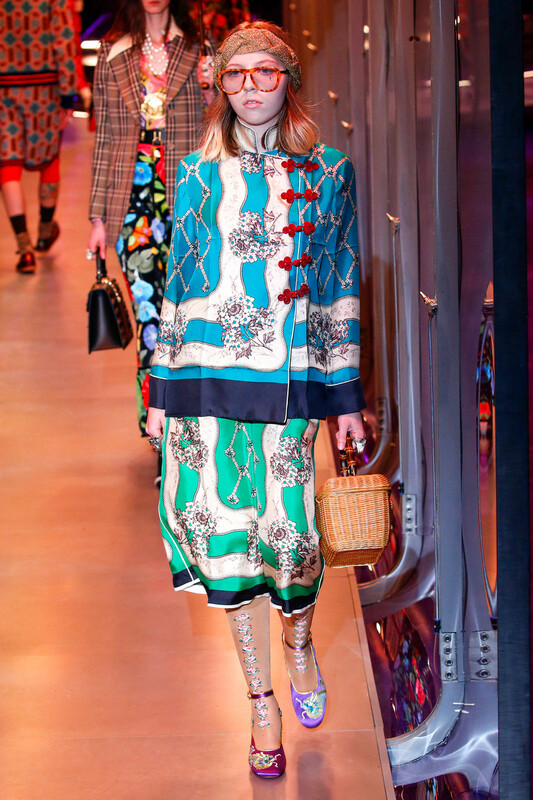 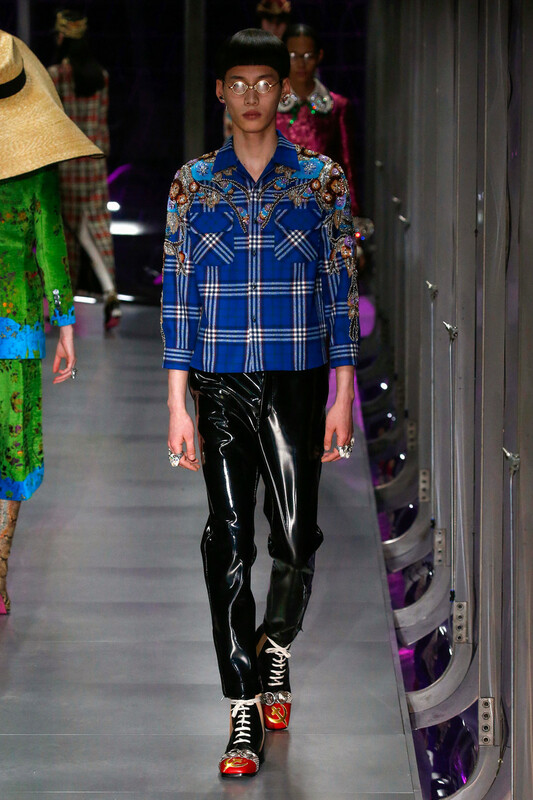 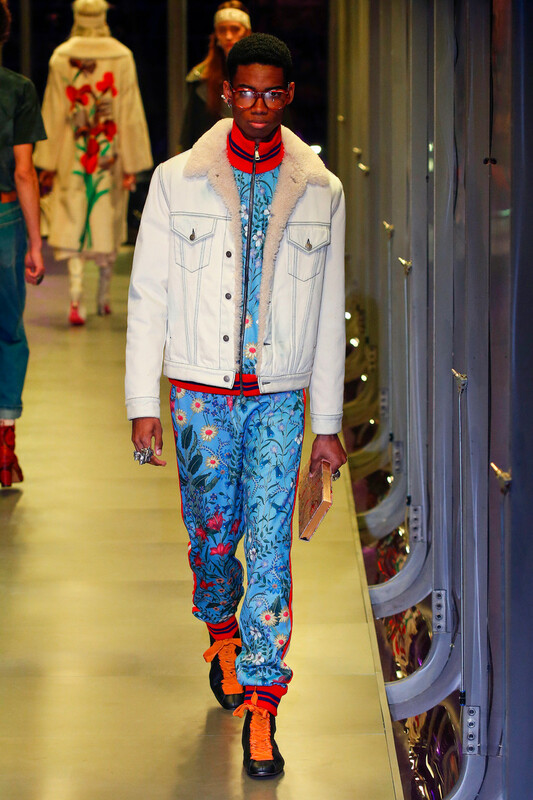 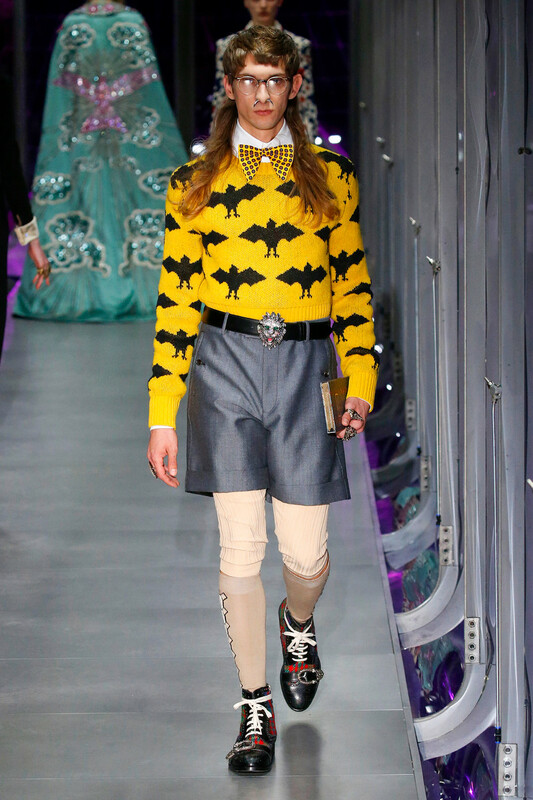 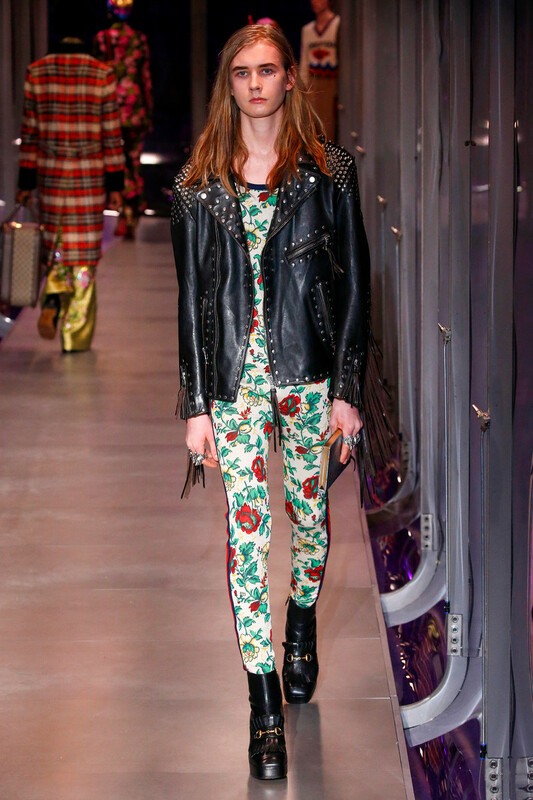 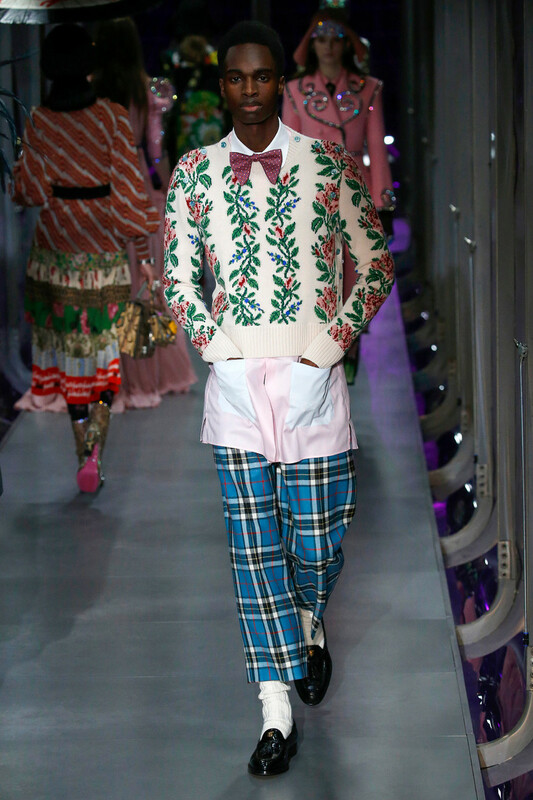 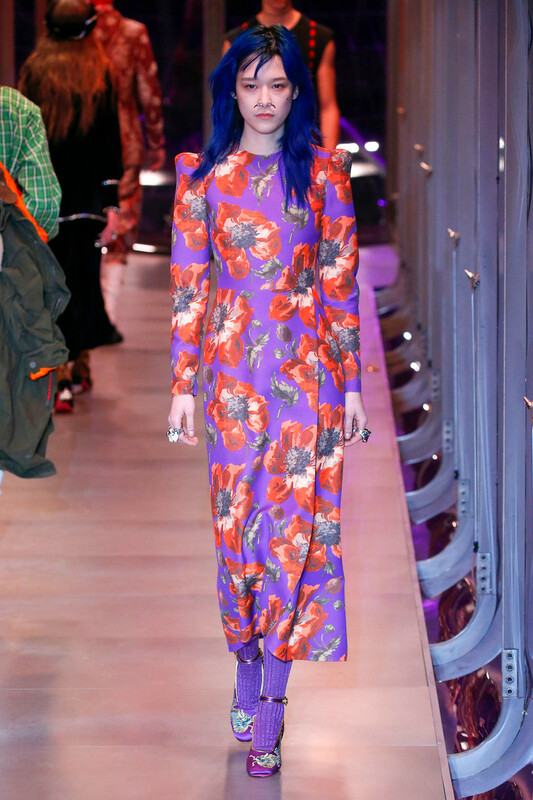 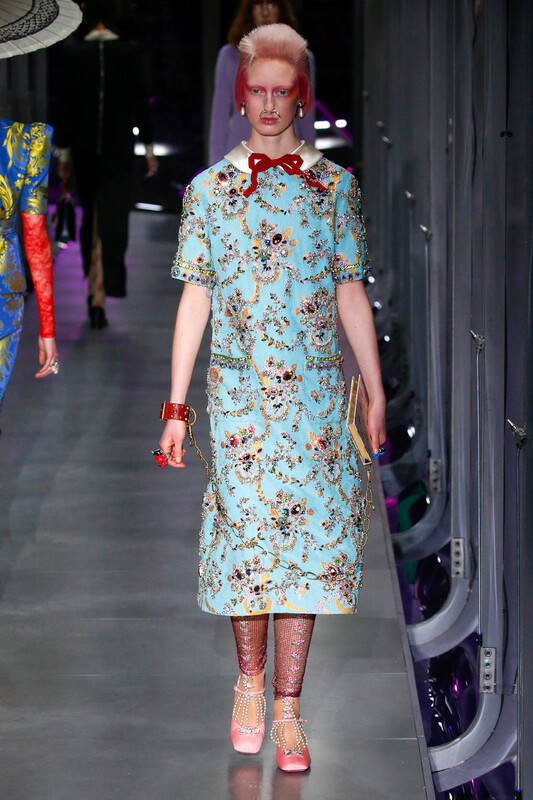 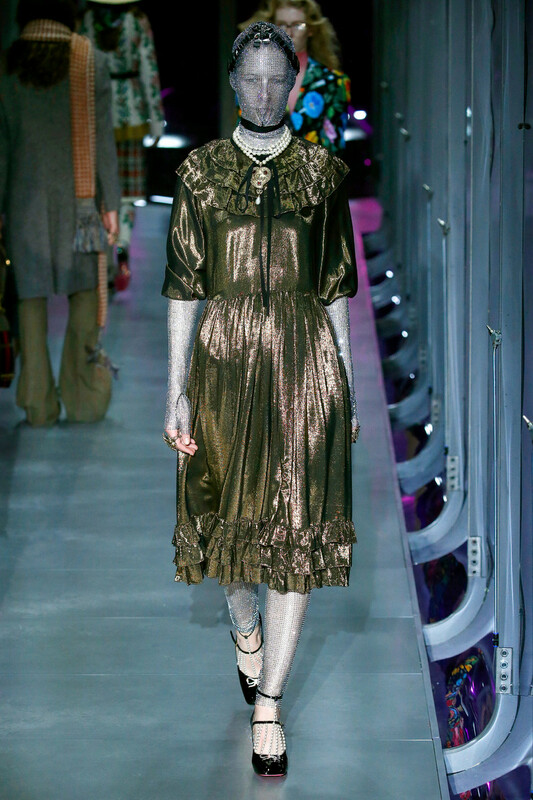 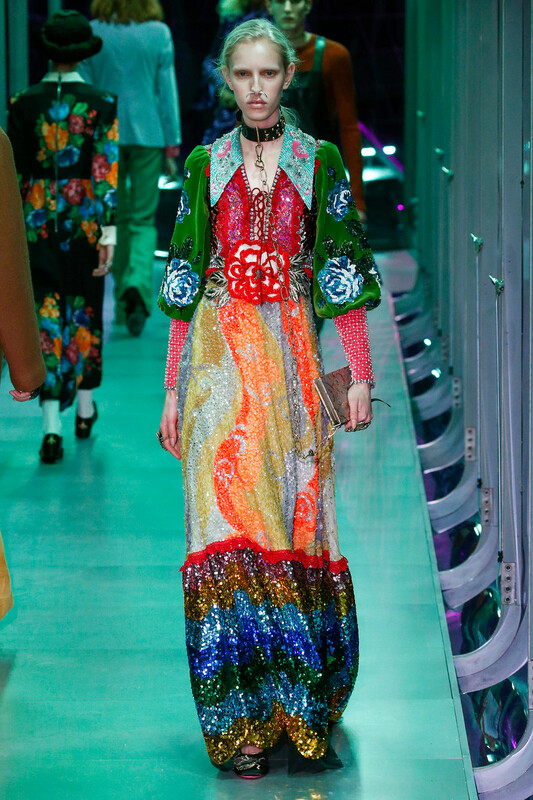 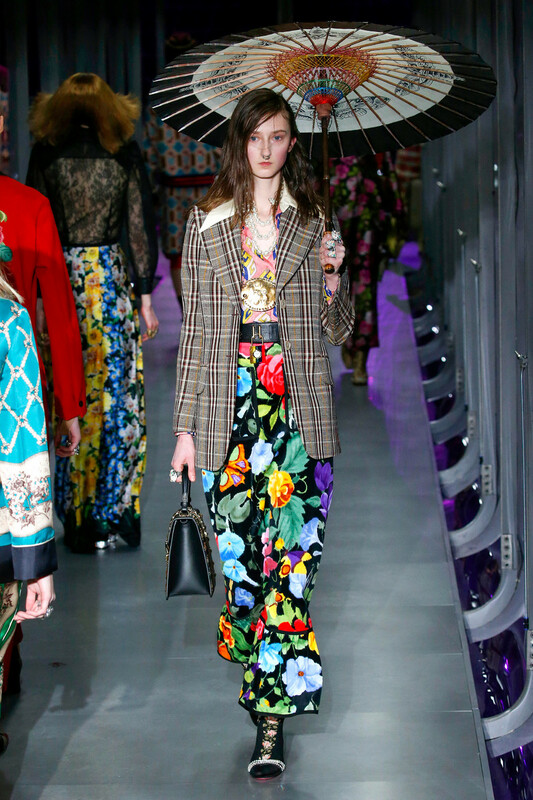 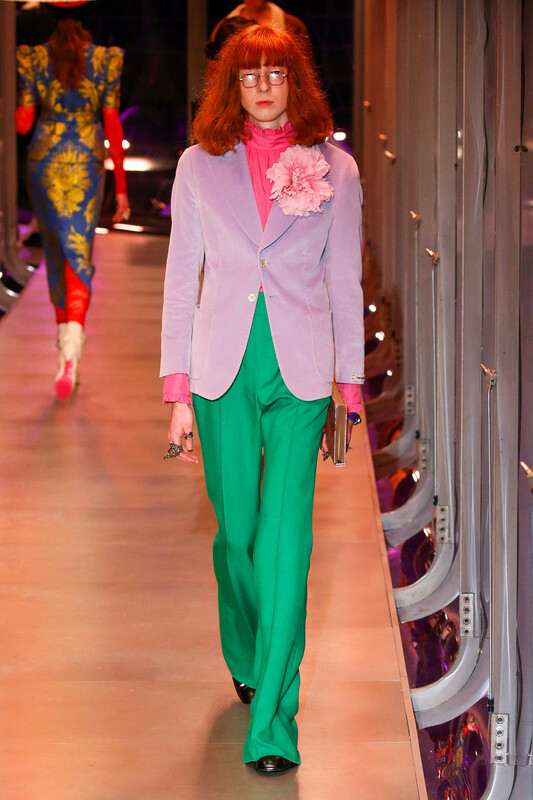 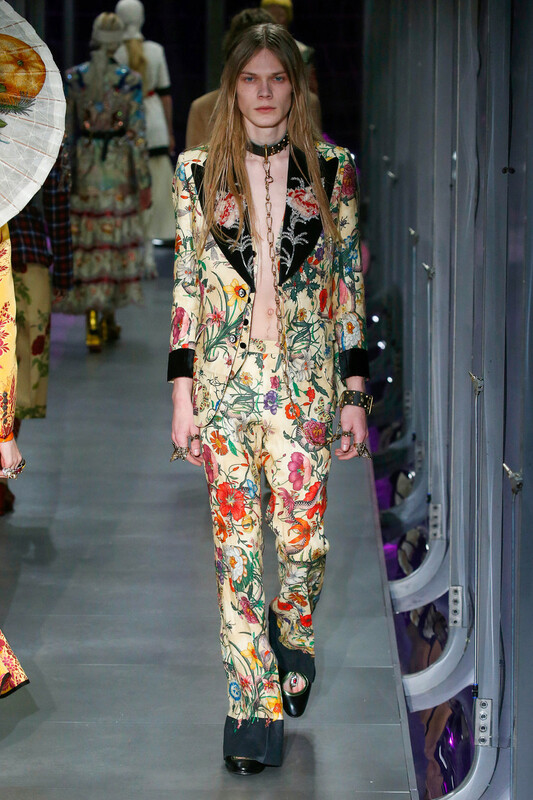 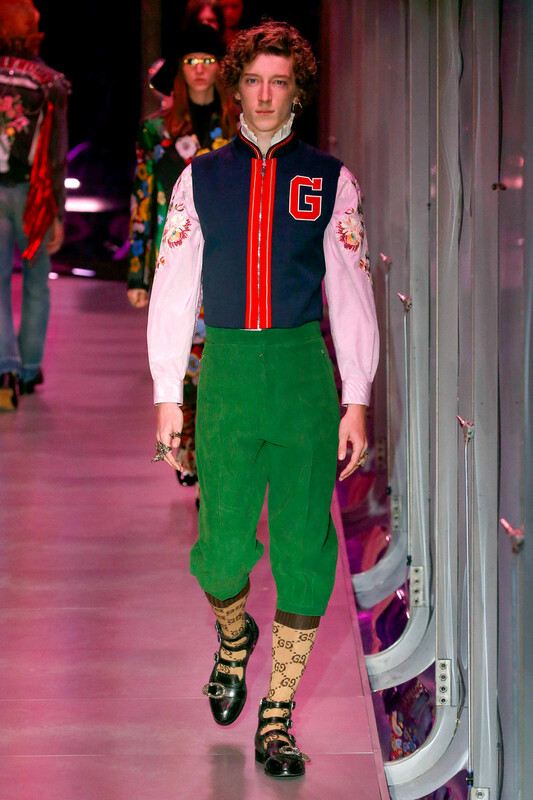 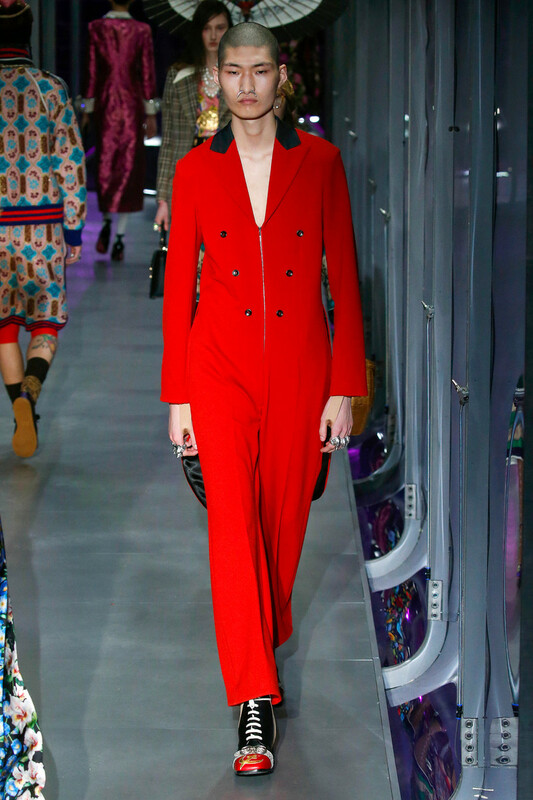 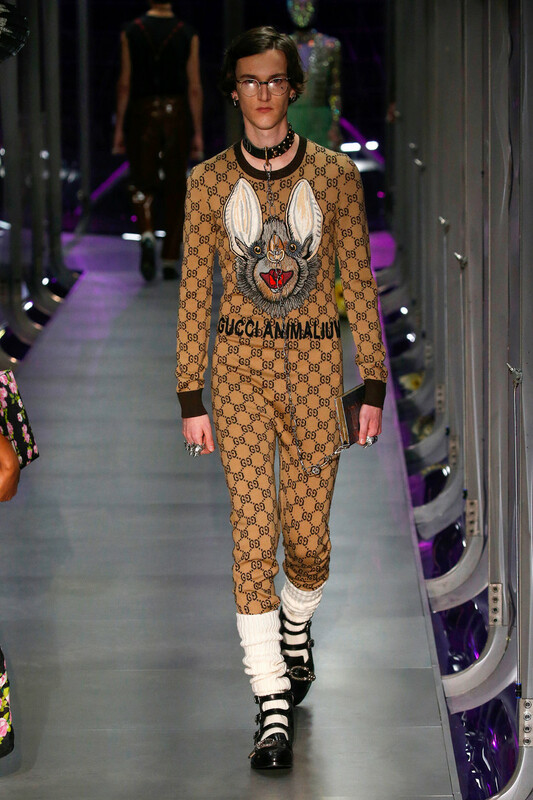 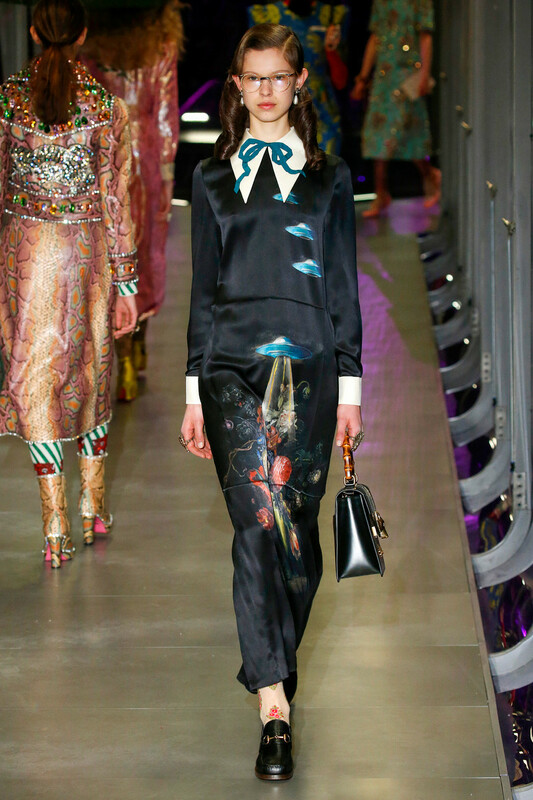 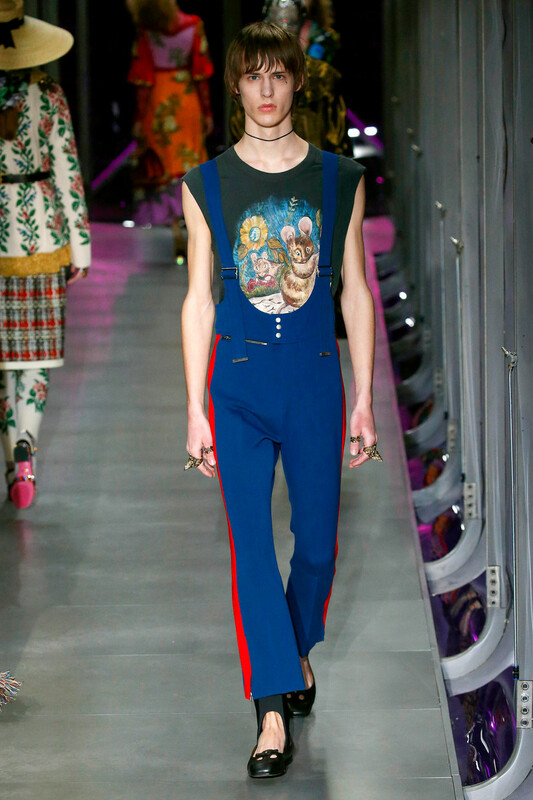 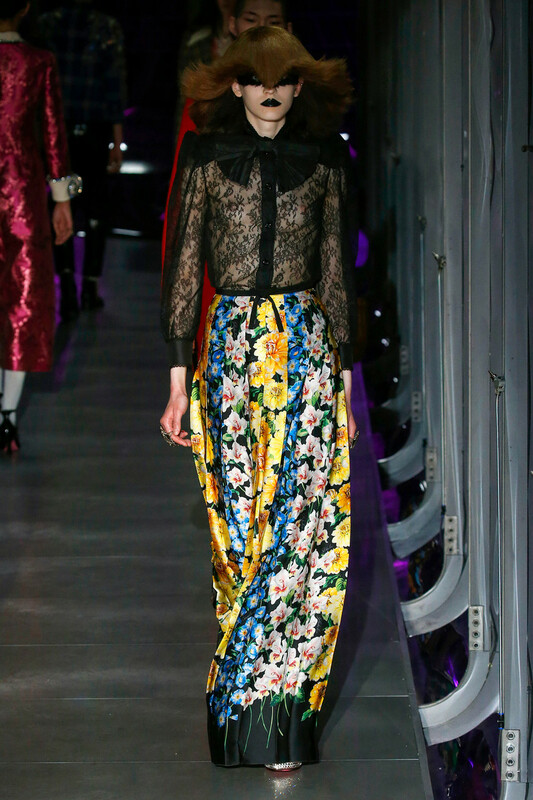 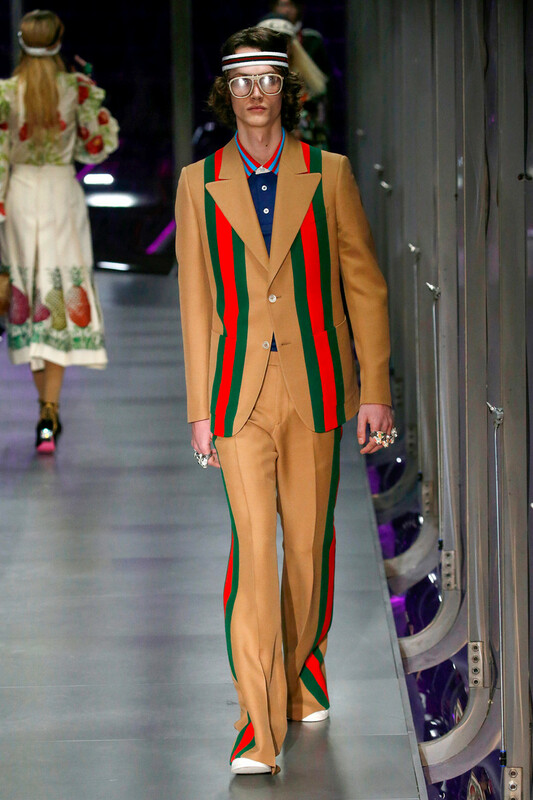 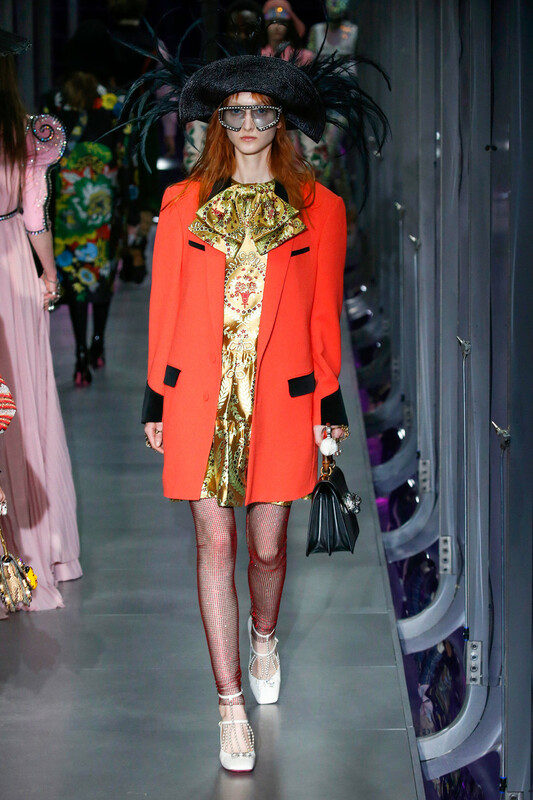 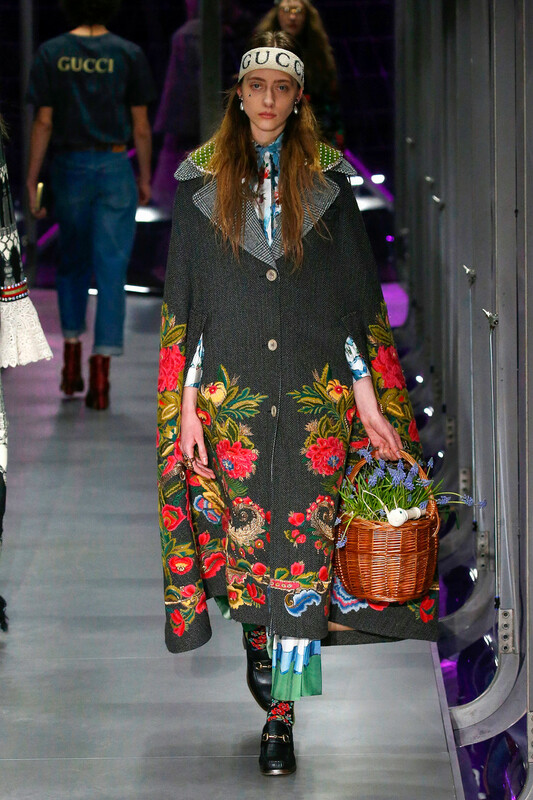 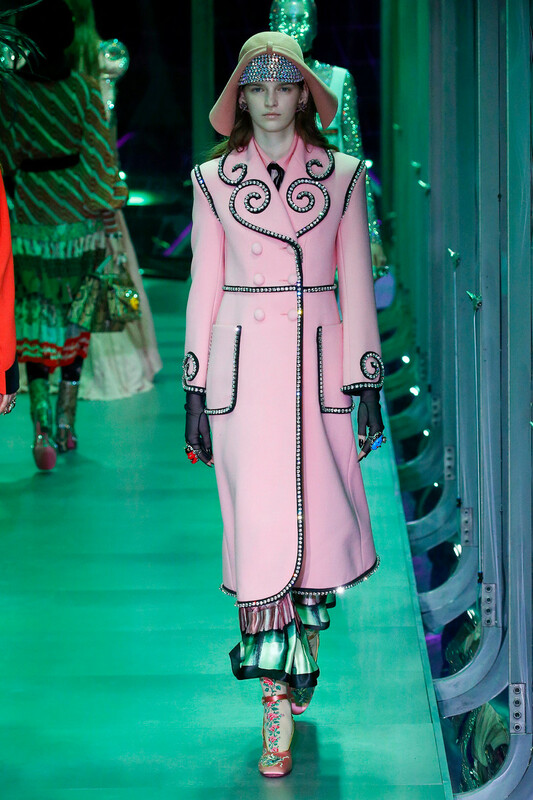 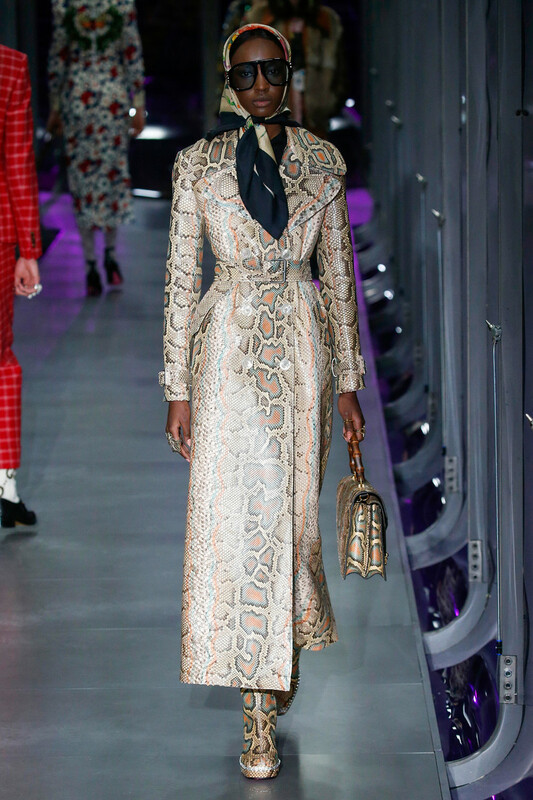 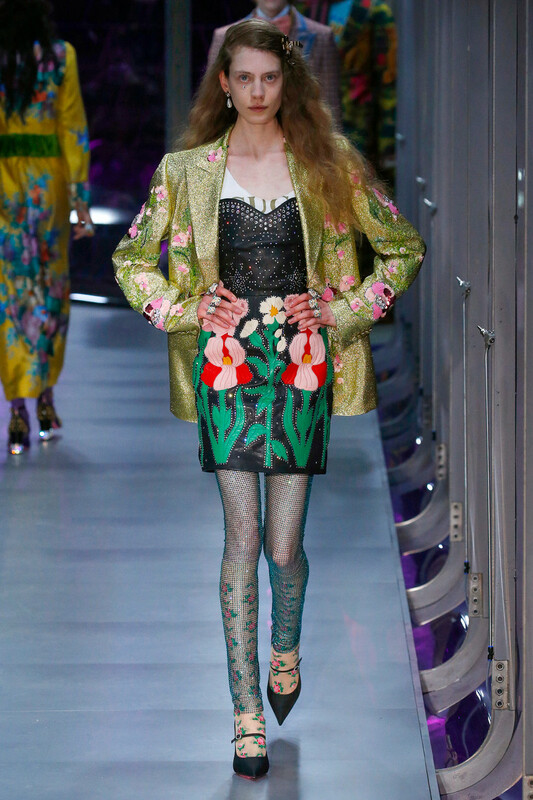 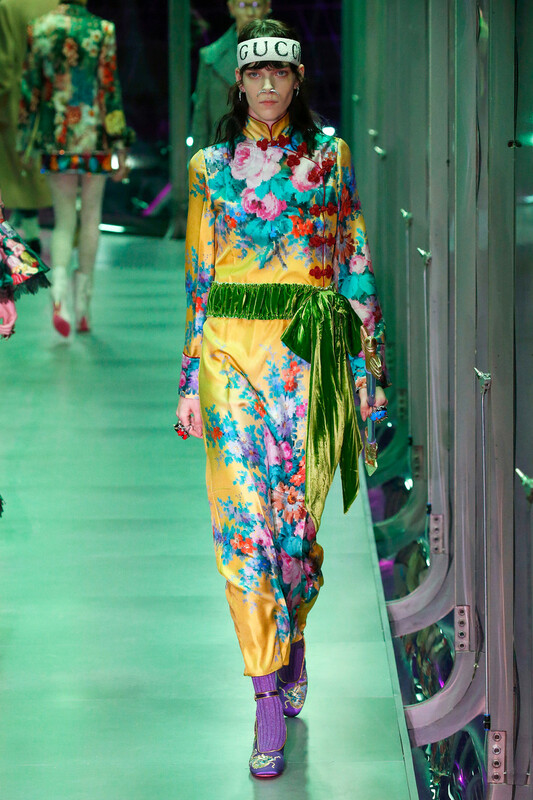 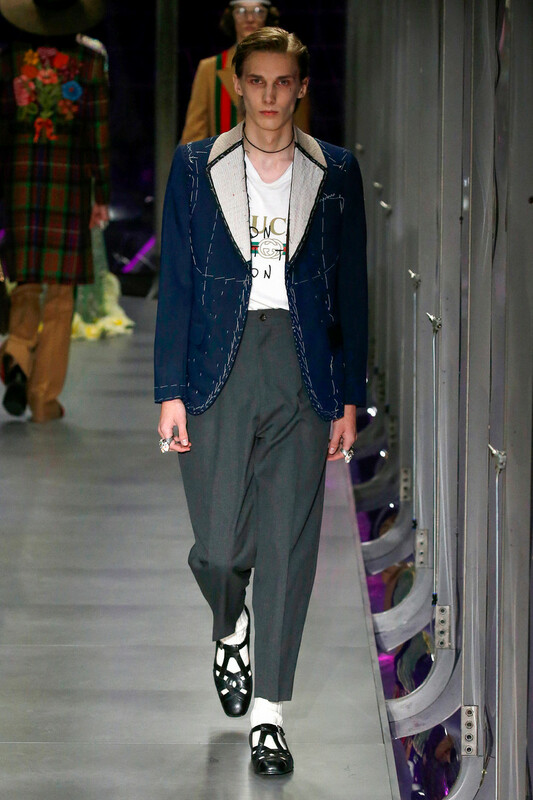 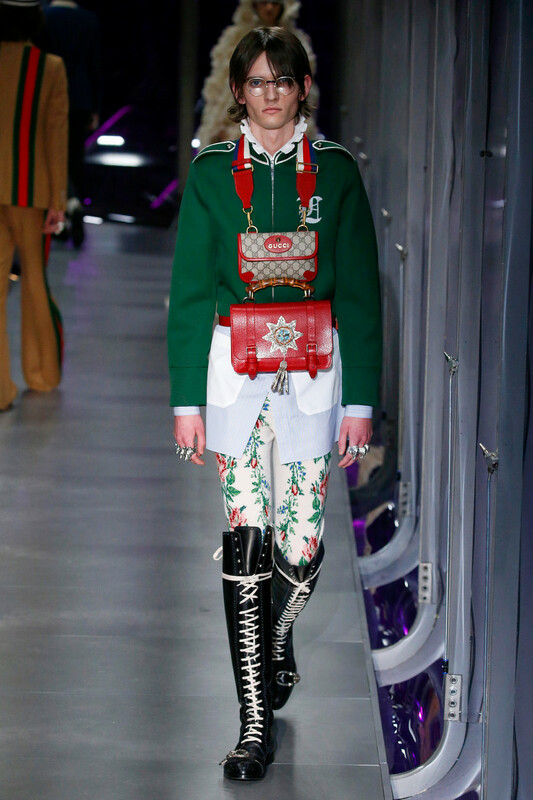 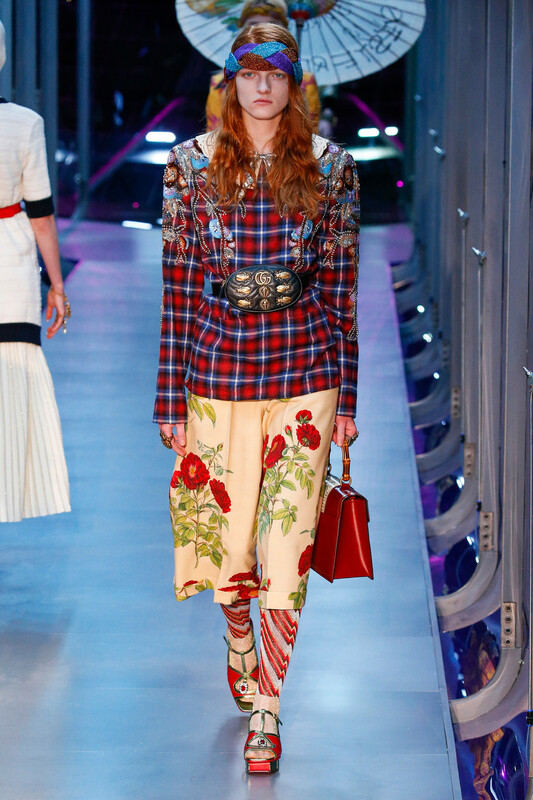 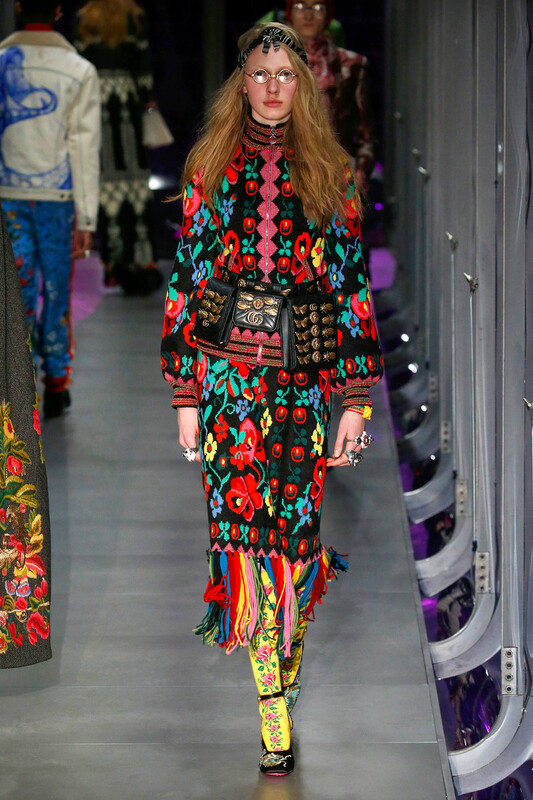 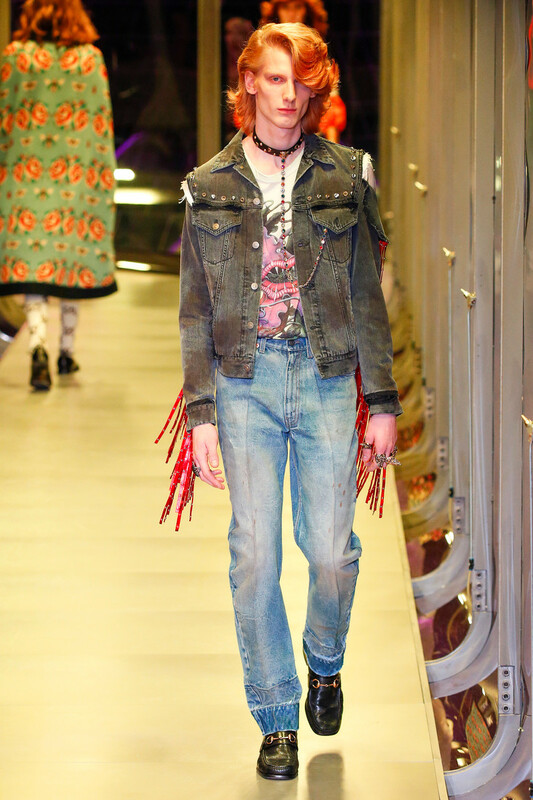 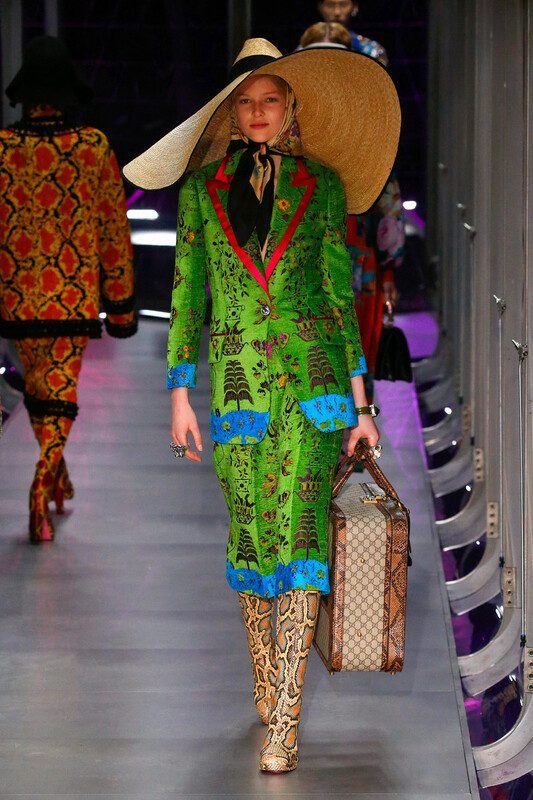 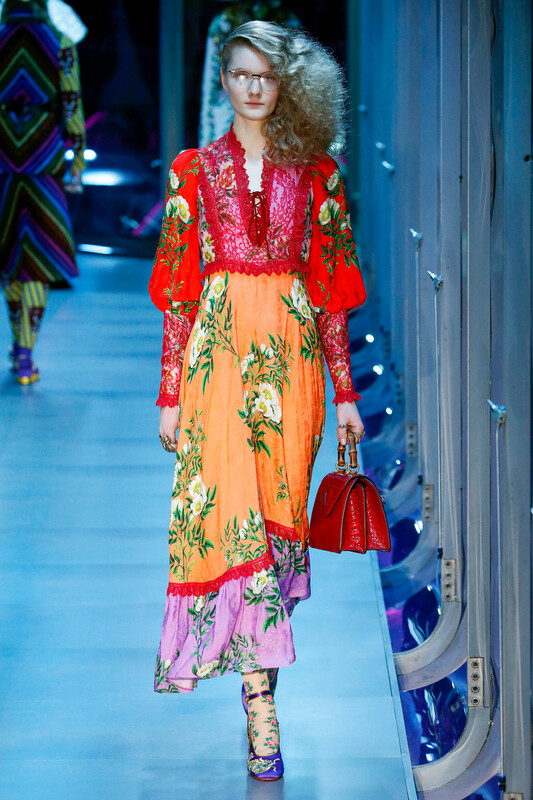 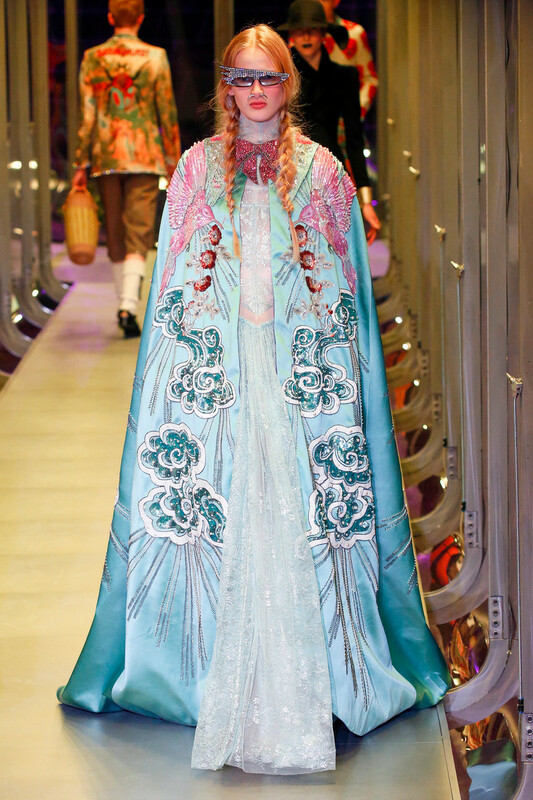 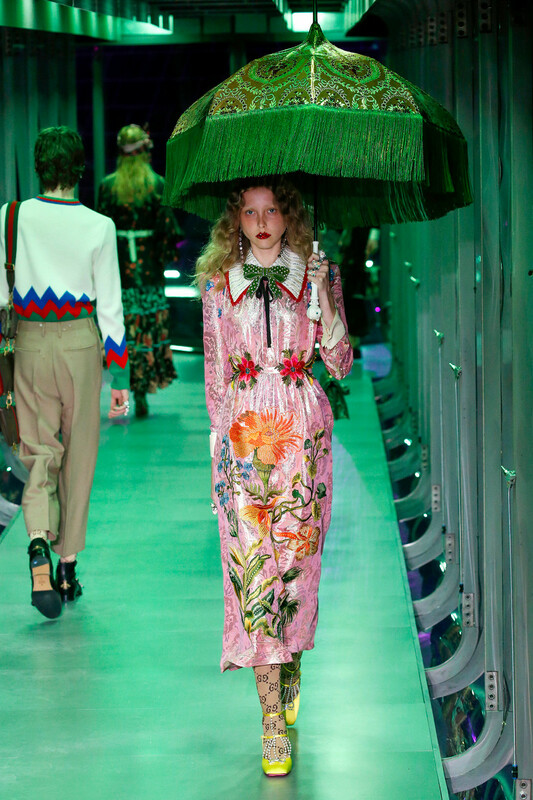 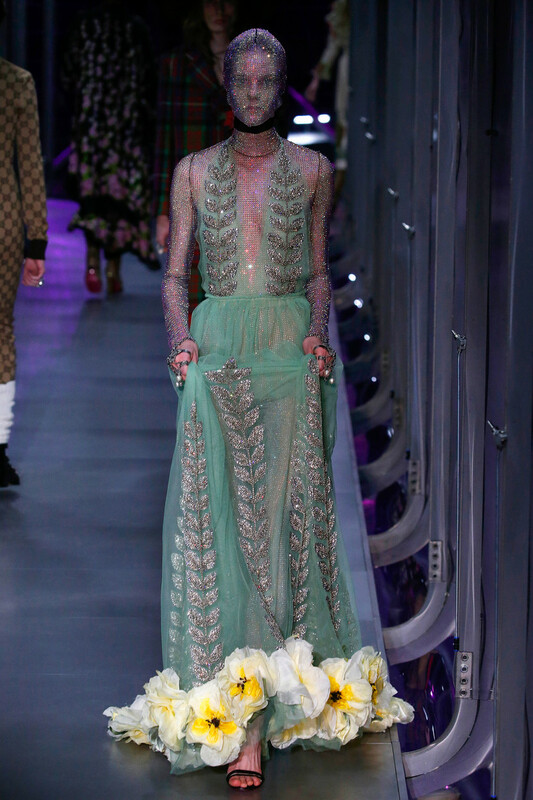 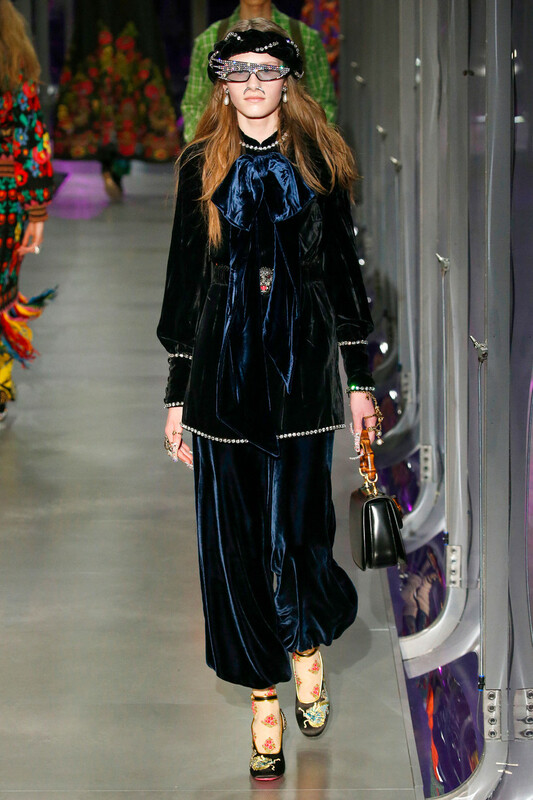 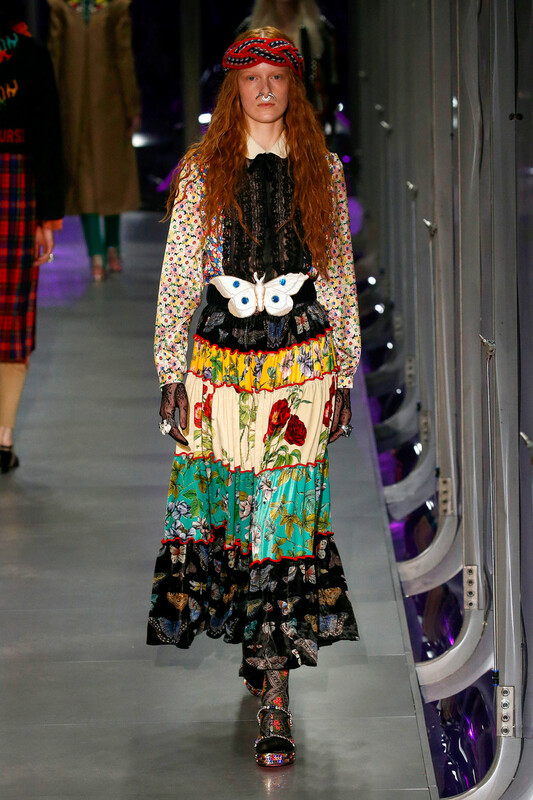 There was a lot going on at the Gucci-show yesterday. 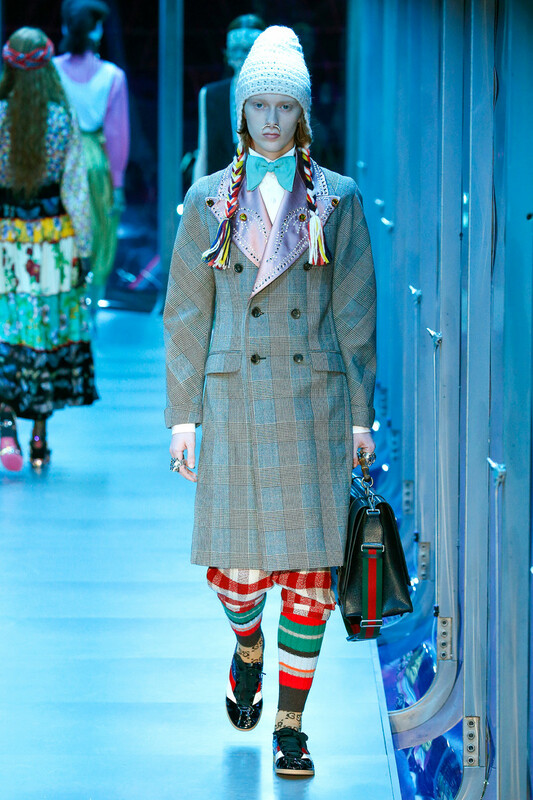 The shock of the new is over. 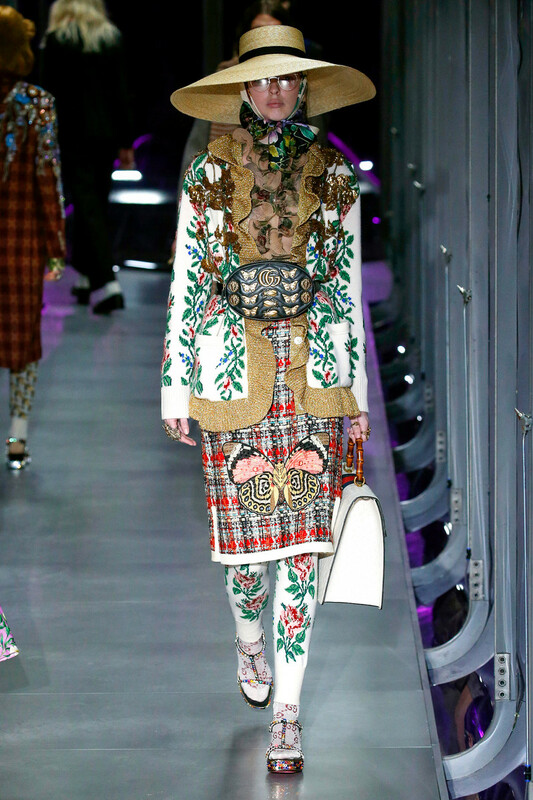 The shock now is in the overload of outfits and the beautiful details. 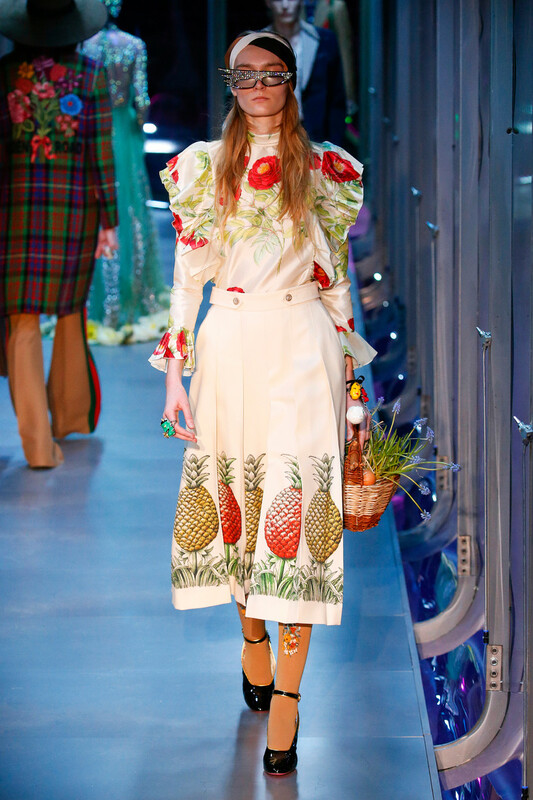 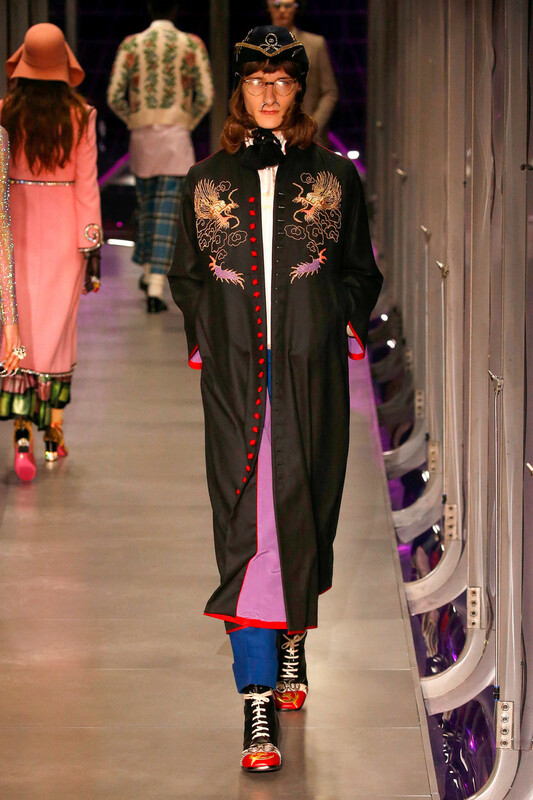 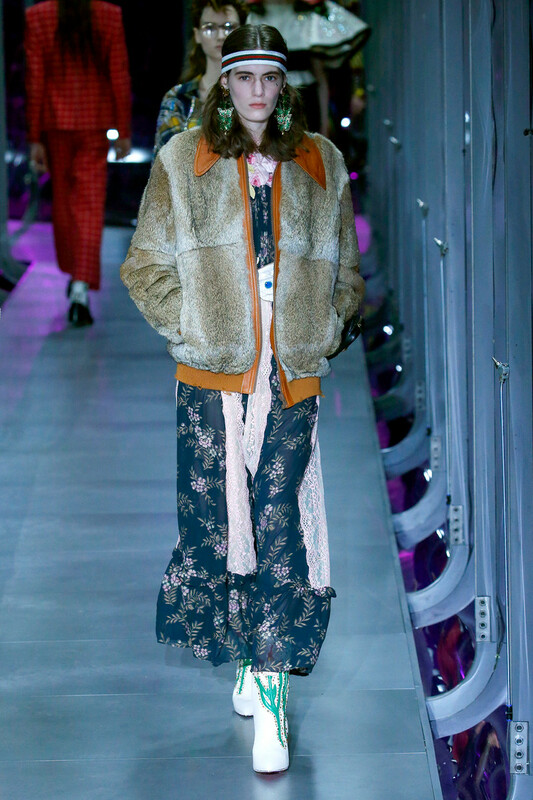 In a very short time, Alessandro Michele has established a clear signature: all eccentricity, gentleness, cross-references, magpie pilings and especially, highly decorative clothes and accessories. 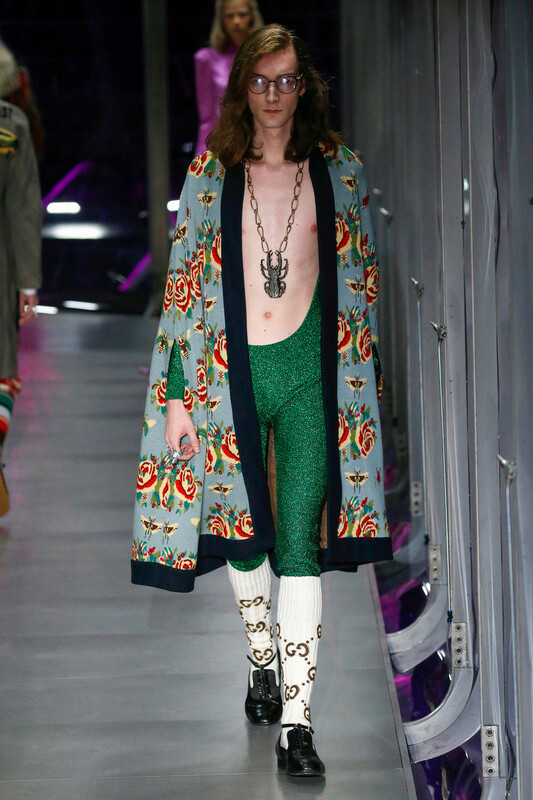 He’s not interested in seasonal flip-flops. 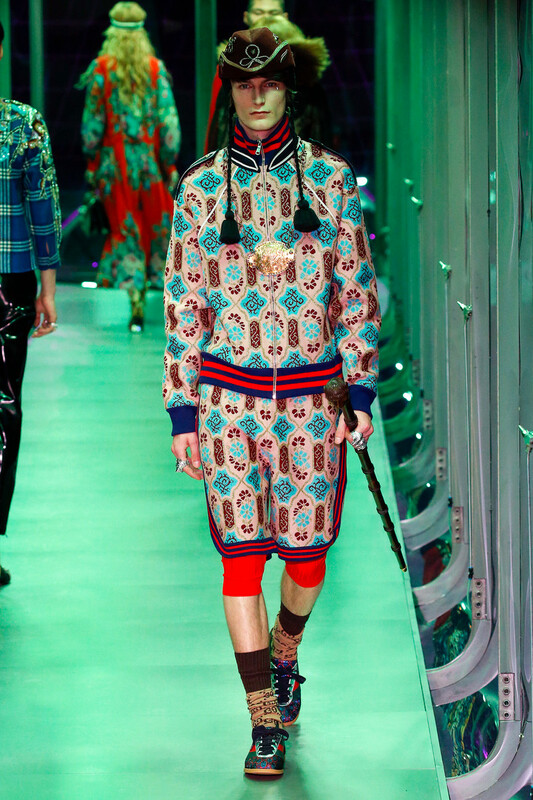 He likened himself to an alchemist, mixing far-flung ingredients into a heady concoction. 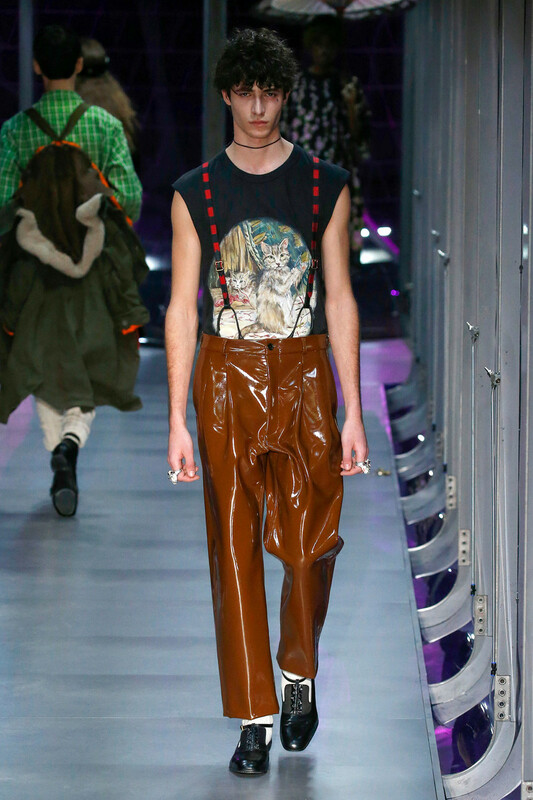 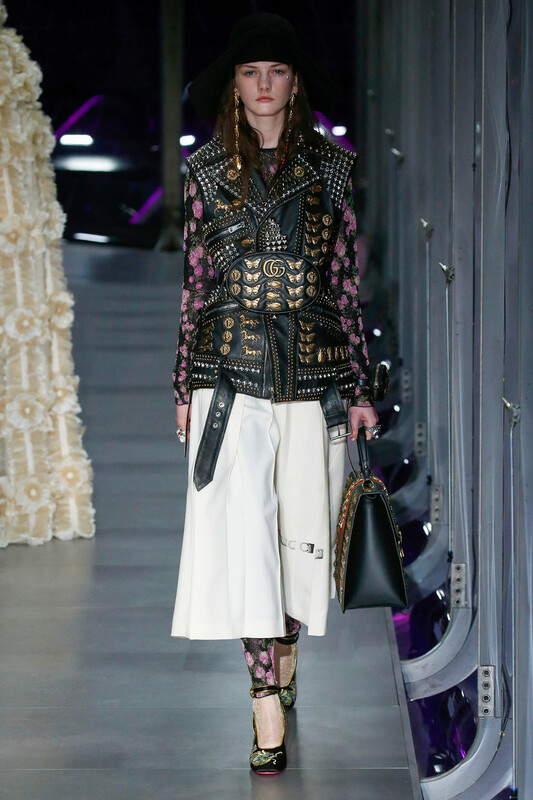 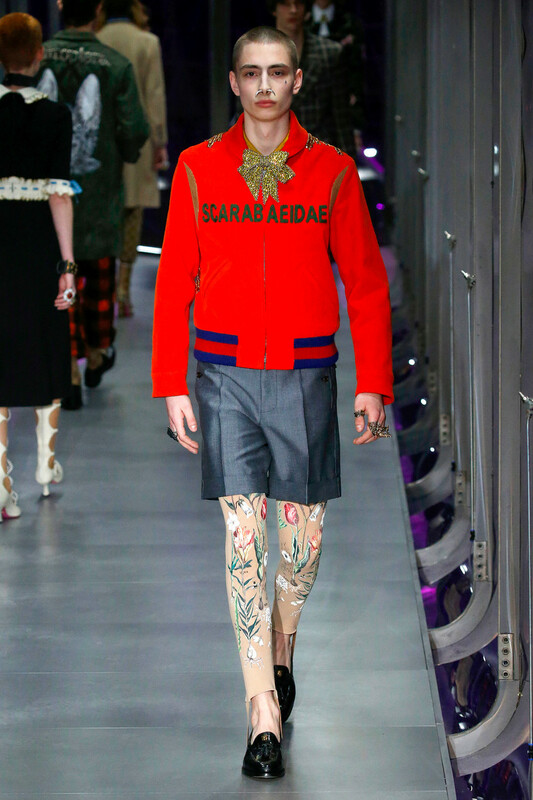 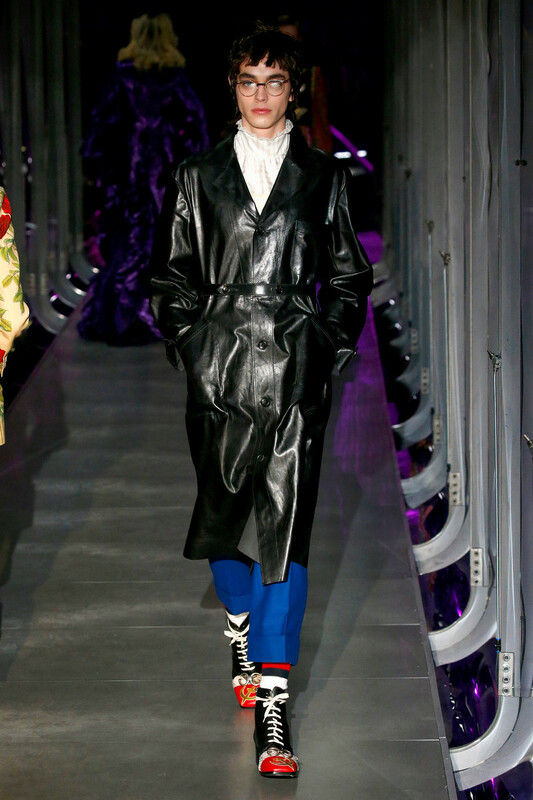 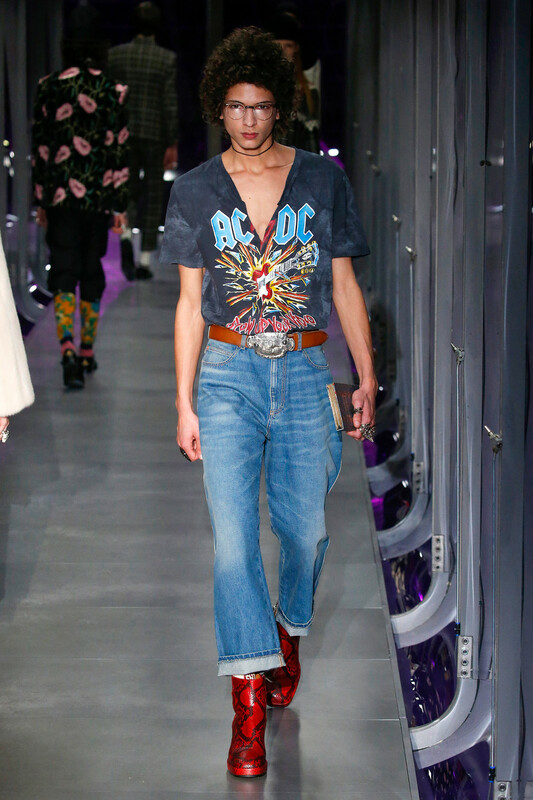 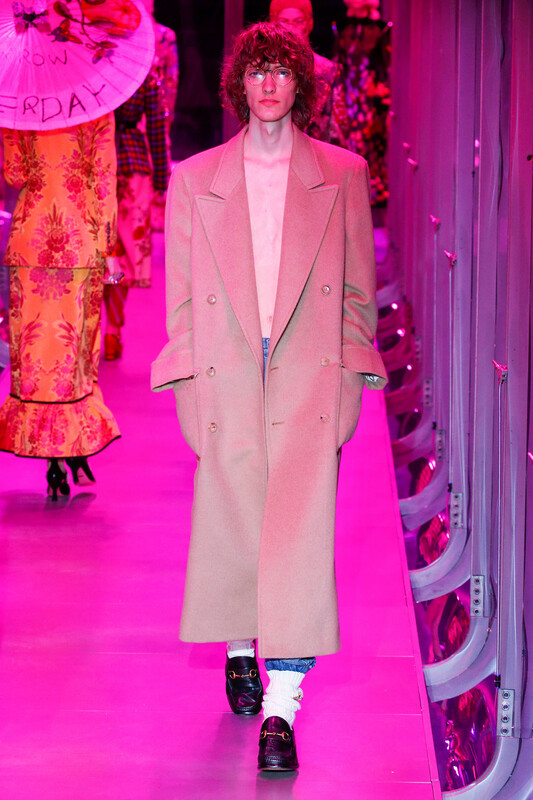 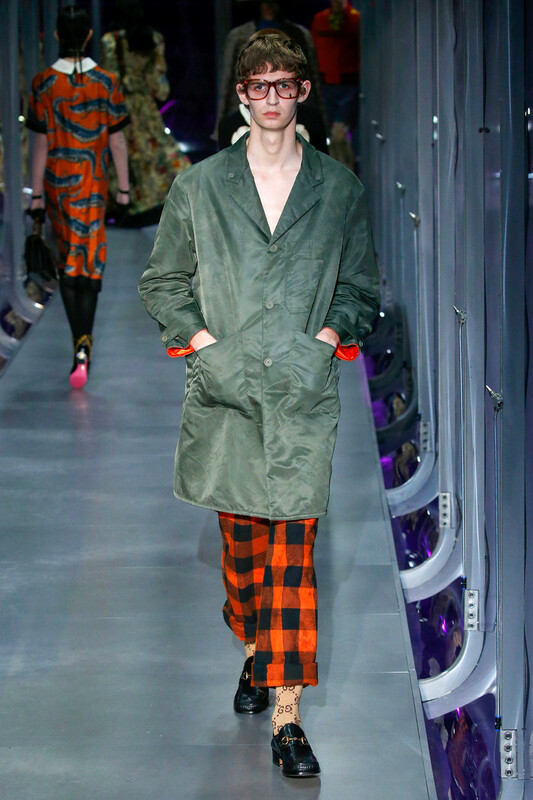 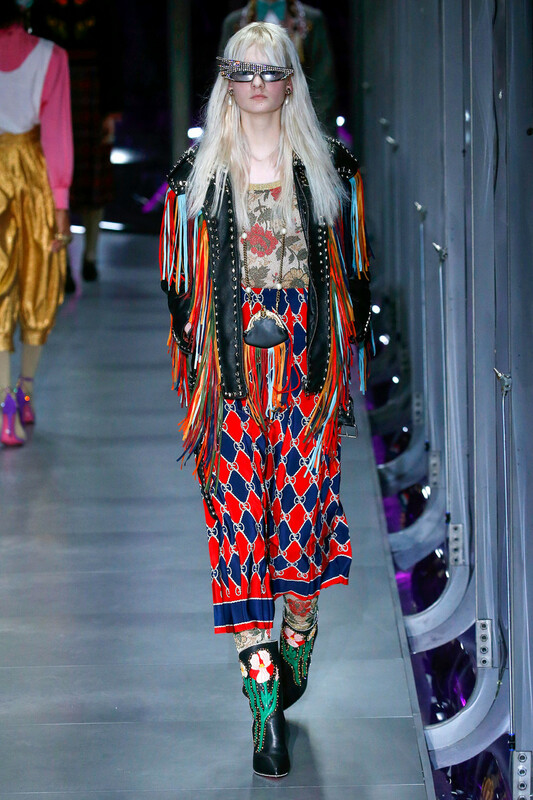 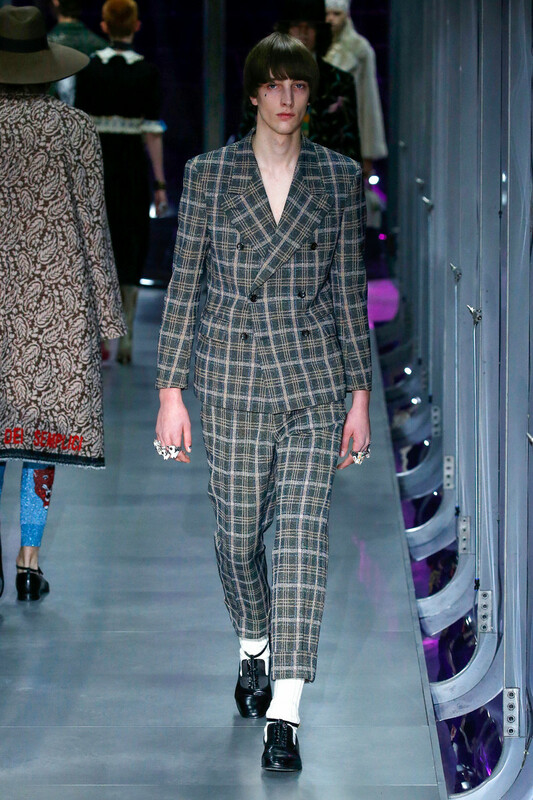 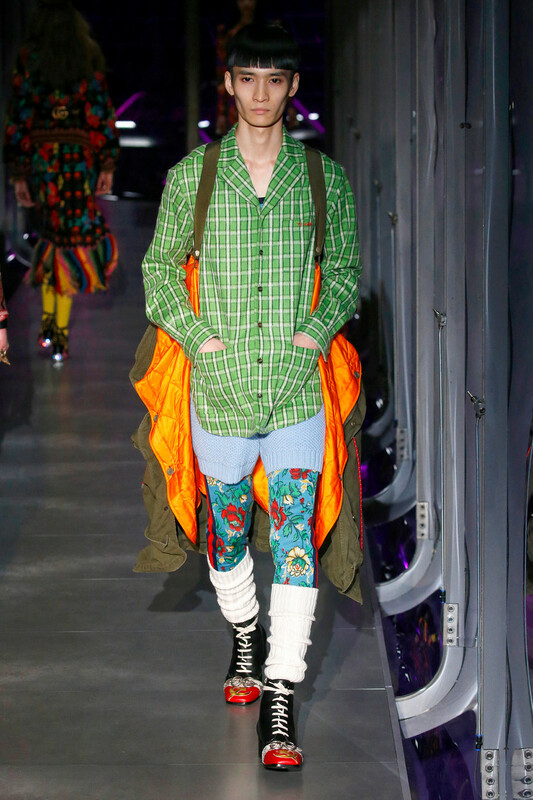 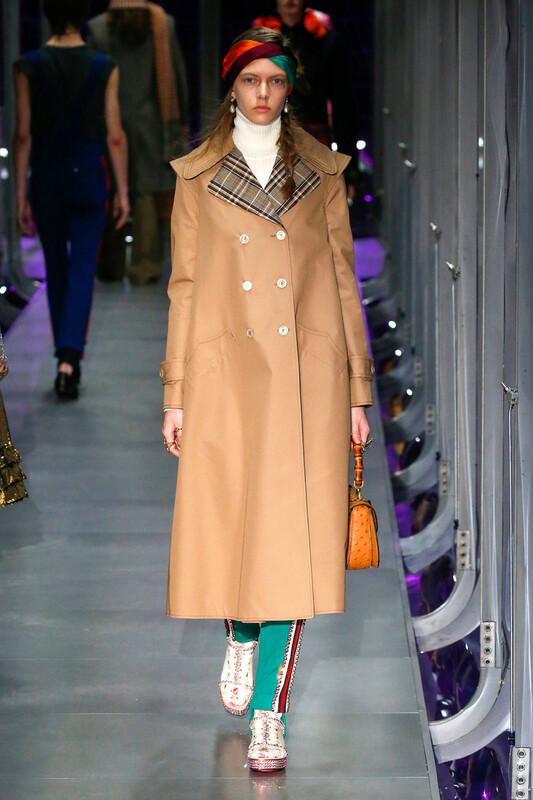 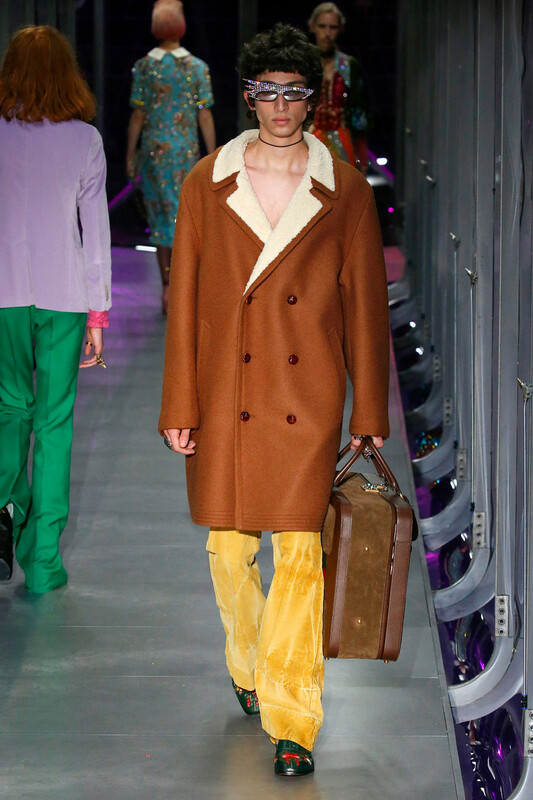 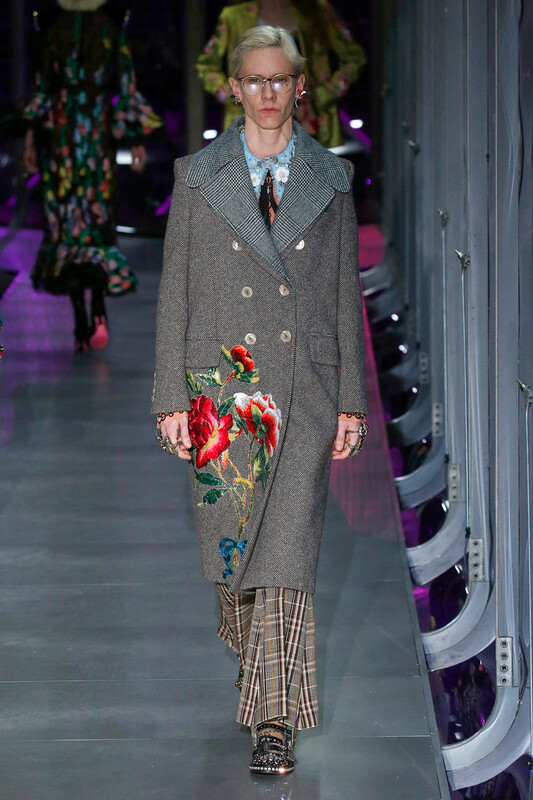 On the runway, the fall lineup looked like more of the same, plus men’s. 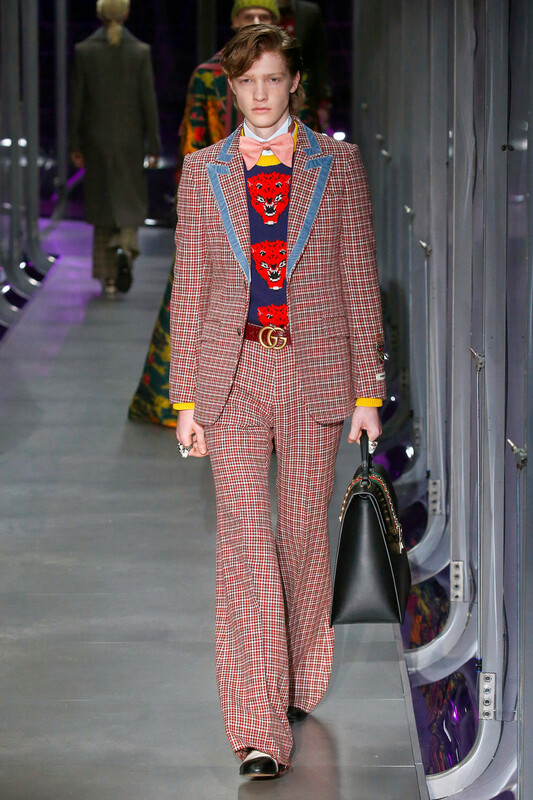 Although some things changed.The sweet geek with whom Michele launched his women’s vision now looks less innocent.This time, she wore her quirks and her references — Orientalism, men’s wear, Forties, Seventies, Eighties, flowers, animalia, a soupçon of Chanel and much, much more — with sly audacity. 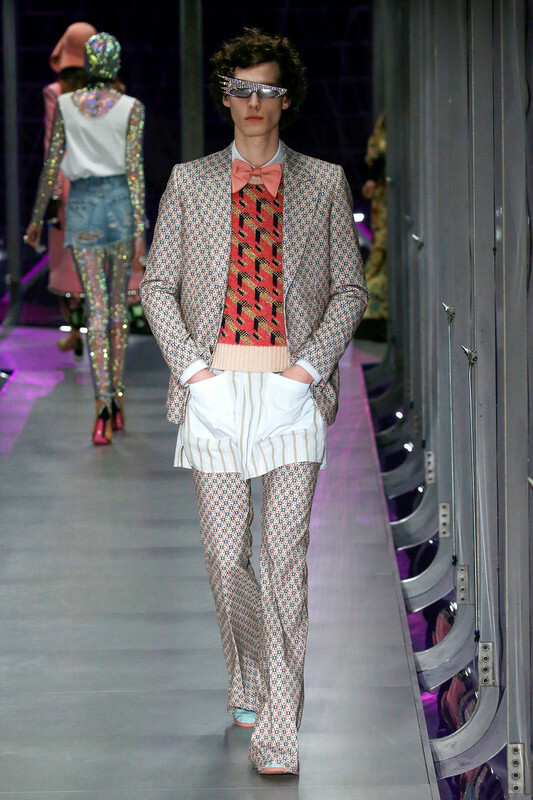 The men remained of the modernist sort, which to say gender fluid, as were some of the girls. 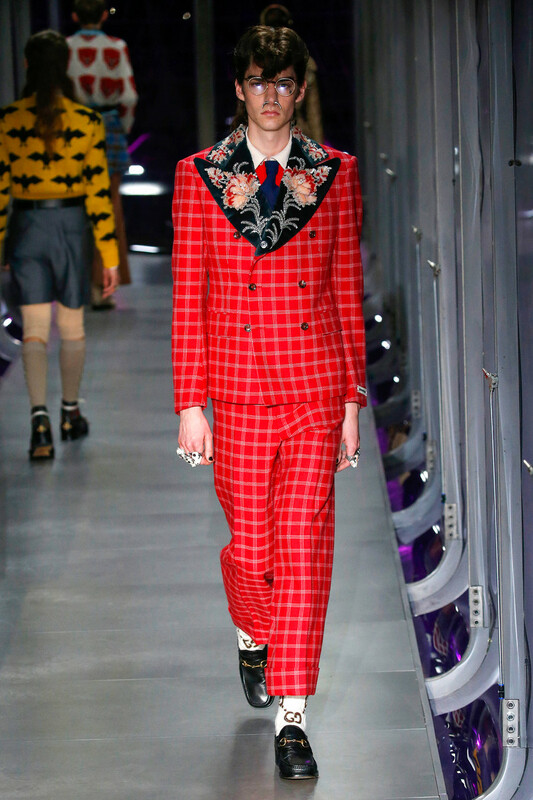 If there was news in terms of cut, it came on the men’s side, in suits in shrunken proportions. 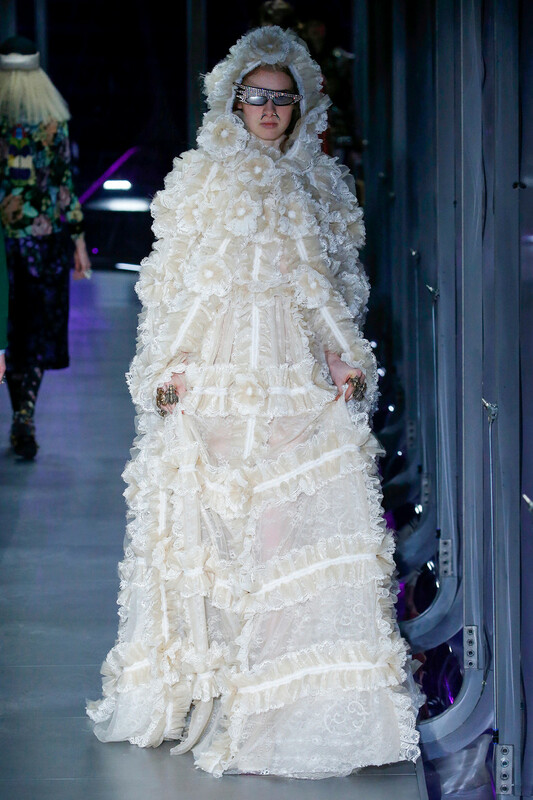 For all their visual overstatement, the glory was in the details, the craft, the countless subtle creative ideas and choices, many of them experimental.